Feedback! 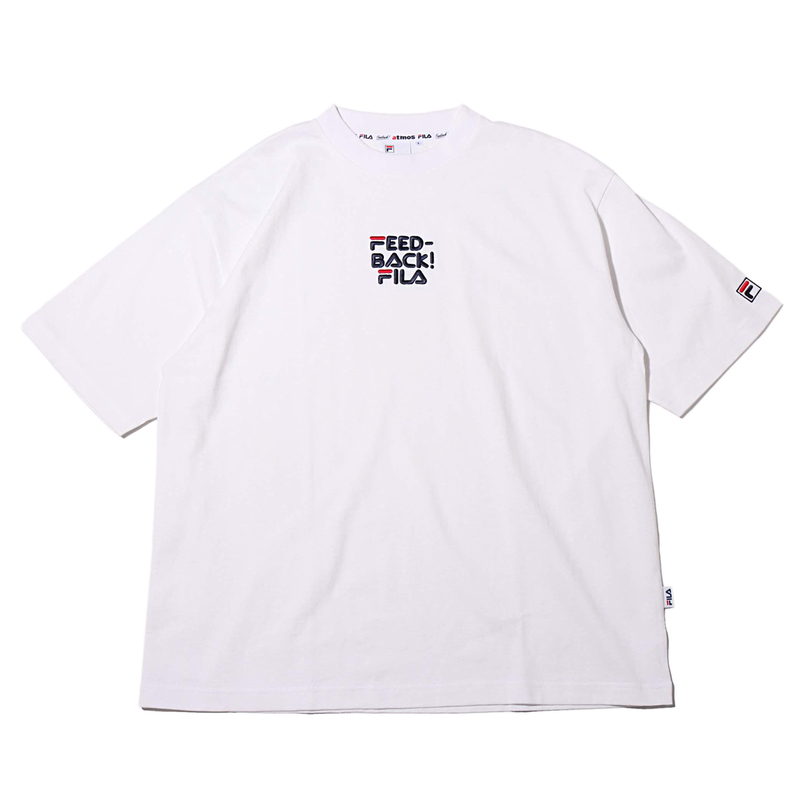 2019 S/S items are available now at the Feedback! Shop in Shibuya! After a screening of the film "Sisterhood"
Thanks so much to everyone who came out! And feel that I came across a film that must be seen. And that I got to tell the director and the audience my point of view. So dainty〜 So cute〜 Spring〜! 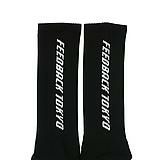 Feedback! 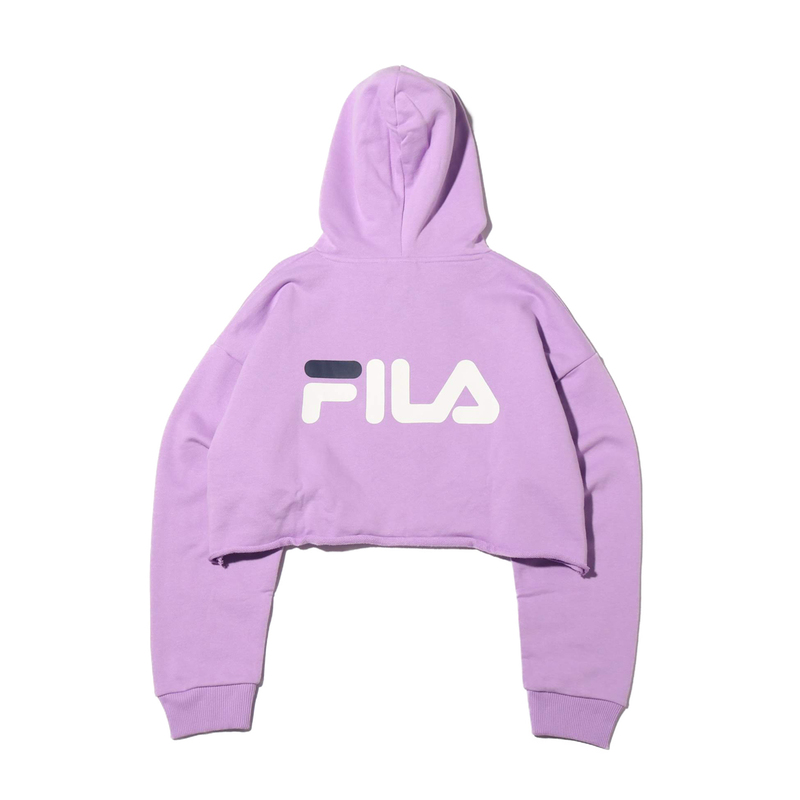 × atmos pink × FILA - The first triple collaboration items to be launched! 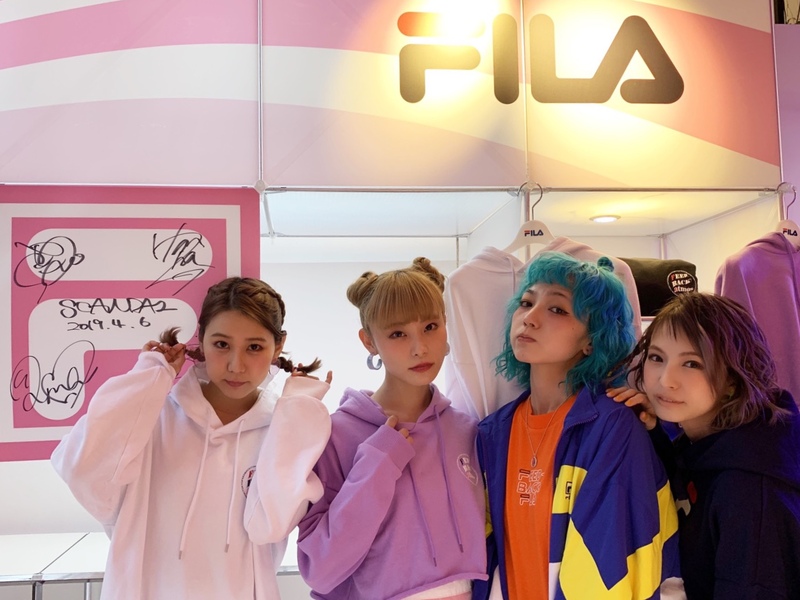 Items from the triple collaboration between 「atmos pink」, the brand 「Feedback!」 established in 2012 by all-girl band SCANDAL, and 「FILA」 will be released. What will be for sale are a total of 5 items: T-SHIRTS, HOODIE ×2, SOCKS ×2. On the T-SHIRTS, the Feedback! 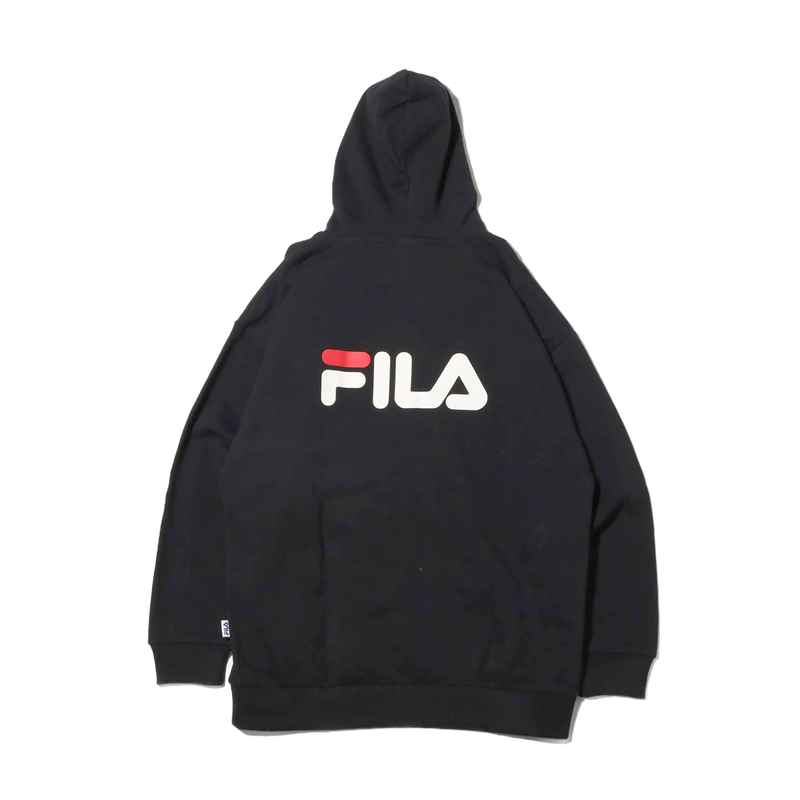 embroidered logo has the same font as the symbolic FILA logo. It features vivid colors and a well-balanced silhouette. 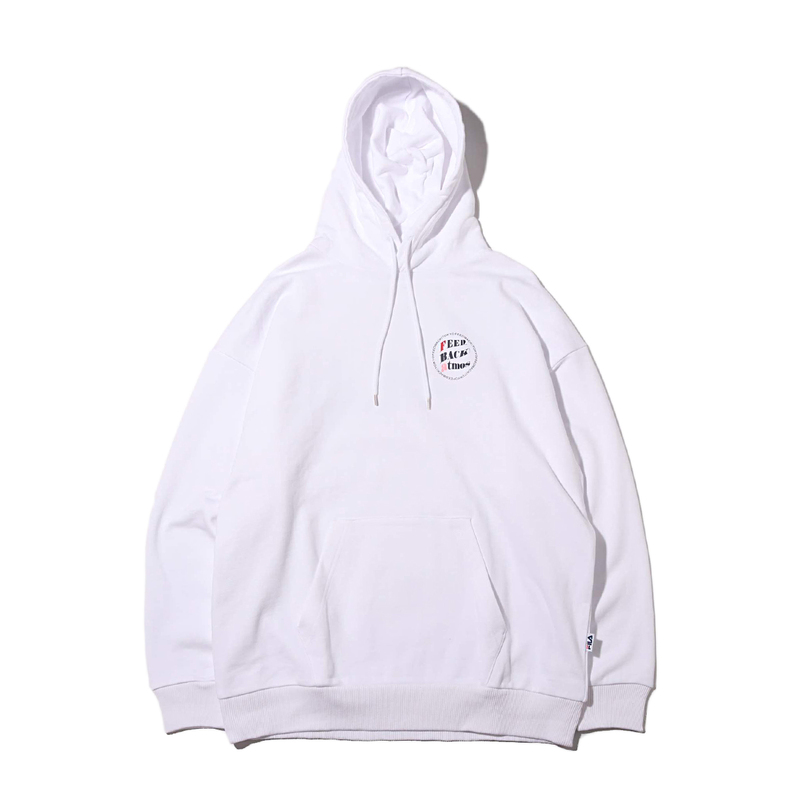 On the HOODIES are the circle logo of Feedback! 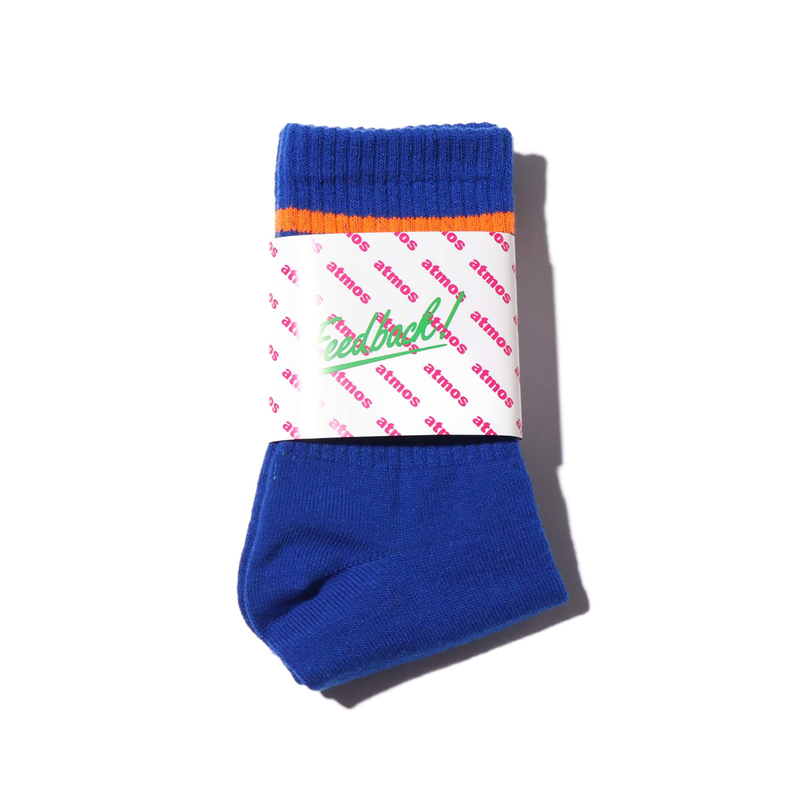 and atmos pink specially made for this collaboration, and the high-impact FILA logo printed on the back. You can choose from two types: A cropped length where you can enjoy a ladylike, layered look; or a big silhouette that's currently trendy. 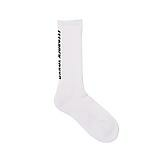 SOCKS, which play an active role as a styling highlight, will be offered in a knee-high length and a crew length. 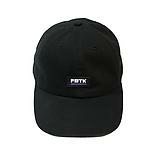 Both items feature eye-catching logos. This collaboration contains items created by SCANDAL with attention to detail and design. 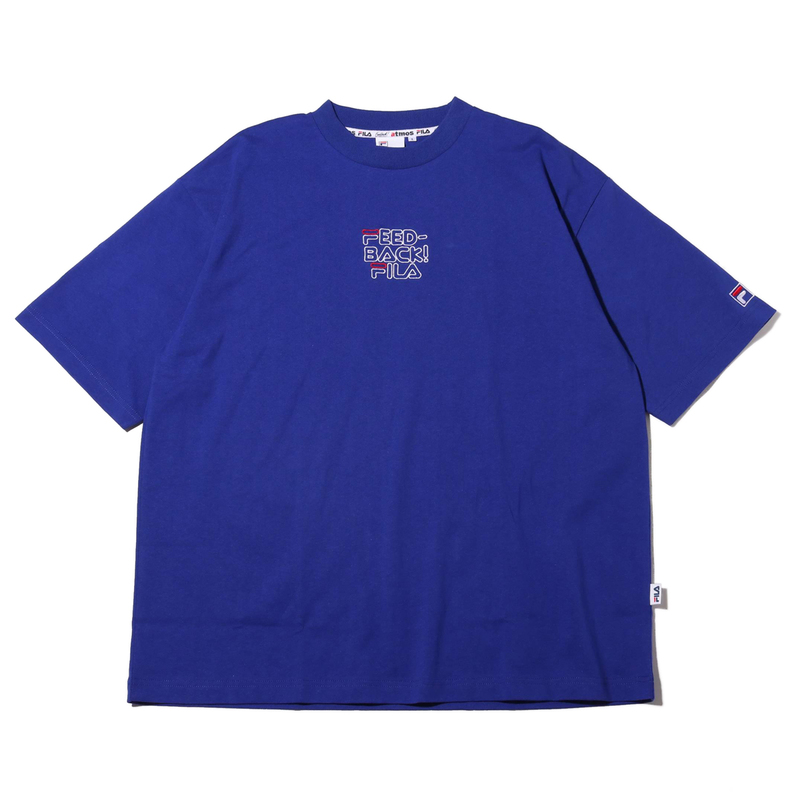 A collaboration t-shirt featuring the Feedback! 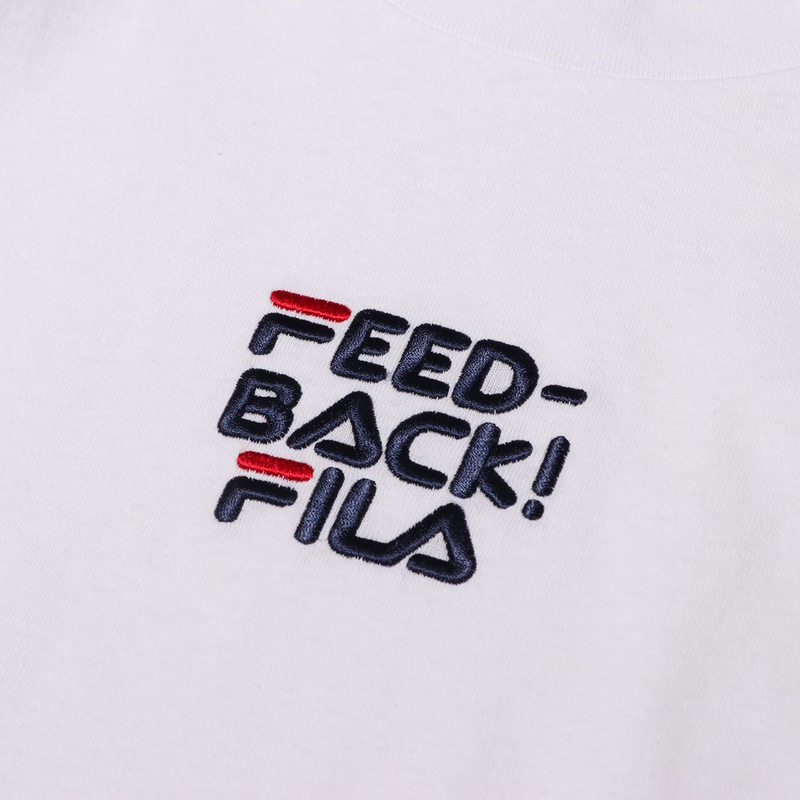 logo embroidery with the same font as the symbolic FILA logo. It is, of course, one piece with a moderately relaxed silhouette, and we also recommend using it as an accent piece with a differently colored inner top. The circle logo of Feedback! 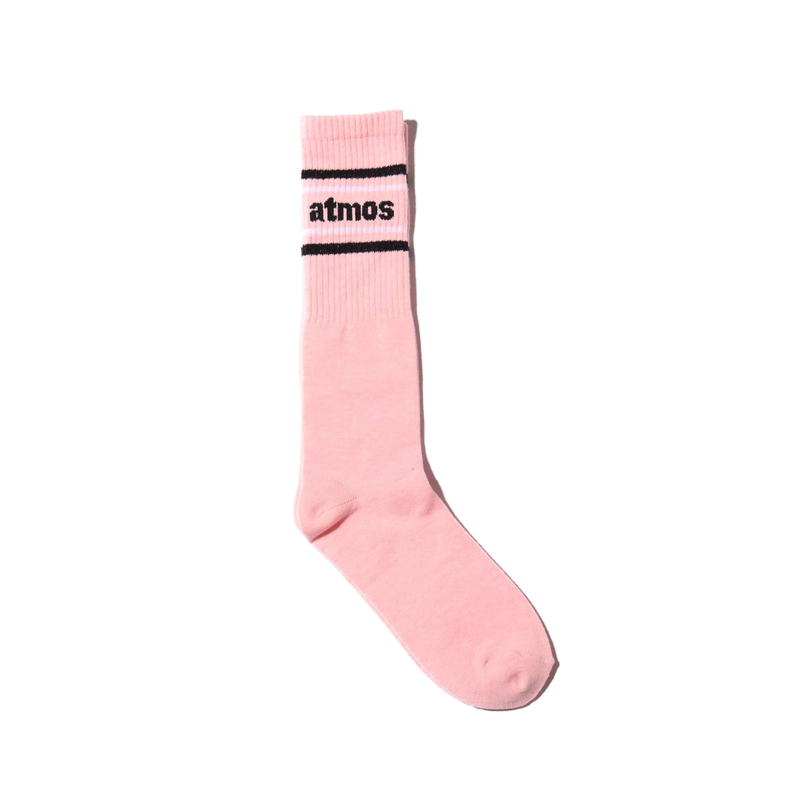 and atmos pink specially made for this collaboration is the highlight! 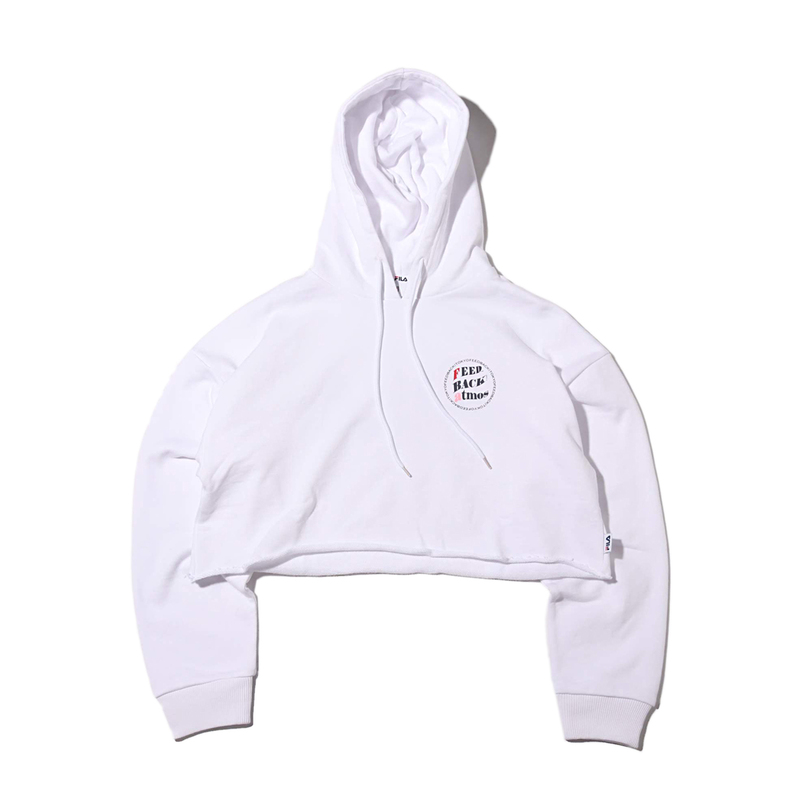 A cropped, ladylike collaboration hoodie. 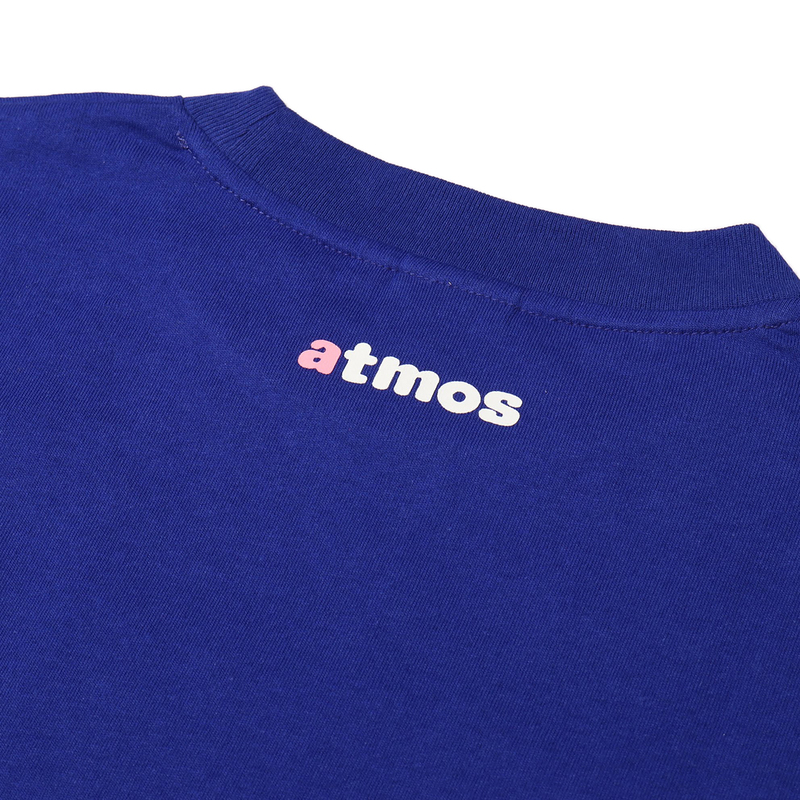 Since it's a cropped hoodie, we recommend layering it with a colorful inner top. 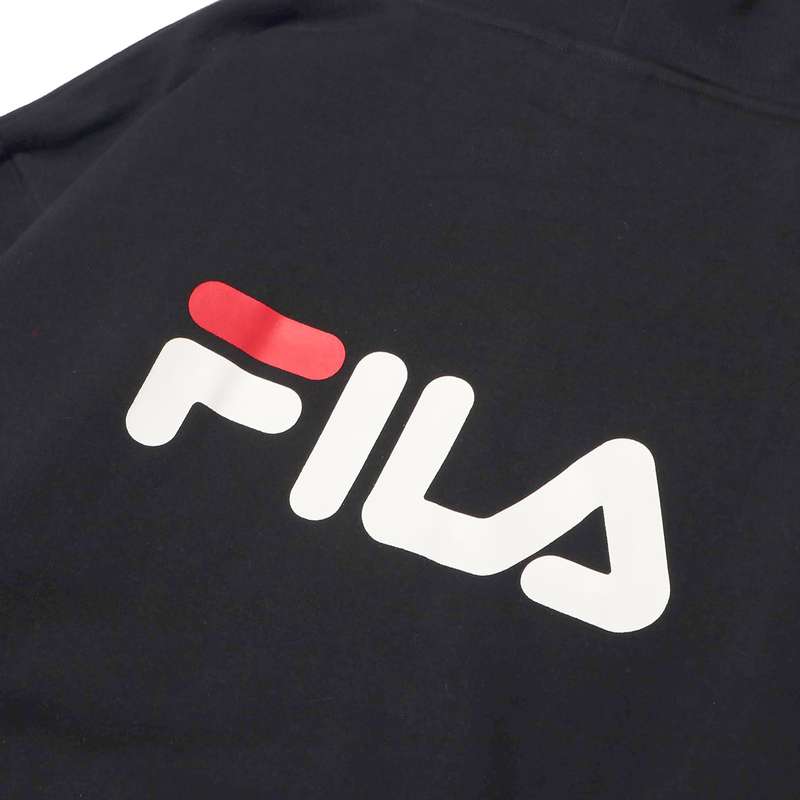 A large FILA logo is printed on the back. A collaboration unisex hoodie with a moderately big silhouette. 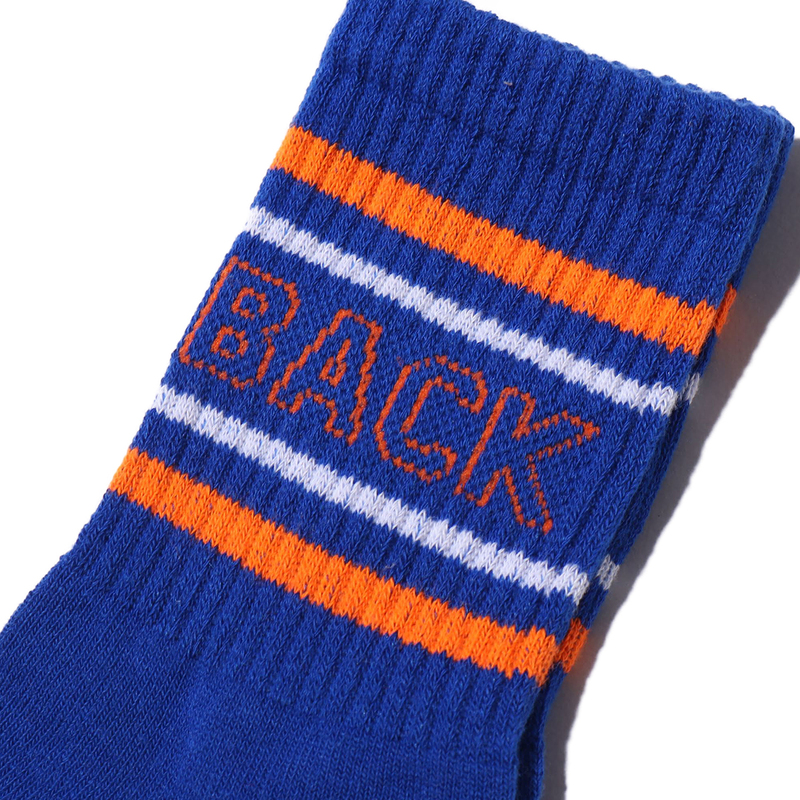 Crew socks, which play an active role as an outfit highlight, with a blue base; orange stripes; and the brand logos. 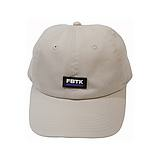 It is an item that emits a strong presence with sharp coloring. 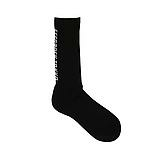 We also recommend it when you want to put together a simple outfit that highlights the legwear. 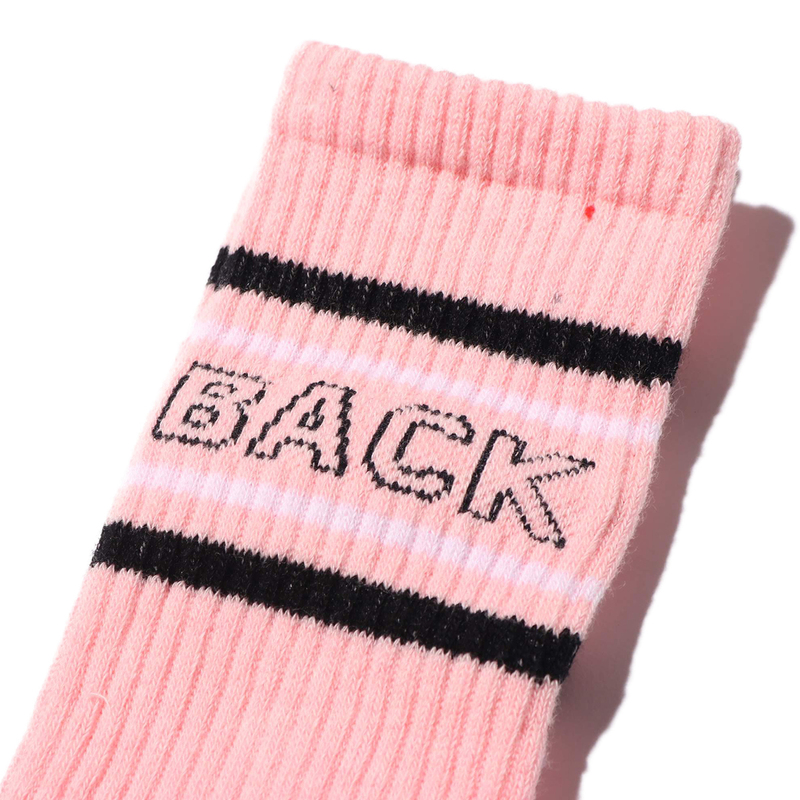 Cute knee-length socks in a pink color. The logos near the top are quite eye-catching. A perfect item for the current season to be paired with shorts, mini skirts, etc. The boldly designed logos are the highlights! 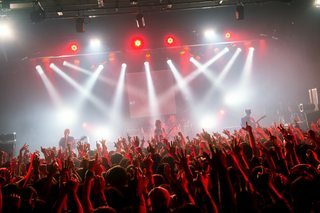 The presale starts on 2019/4/13 (Sat.) 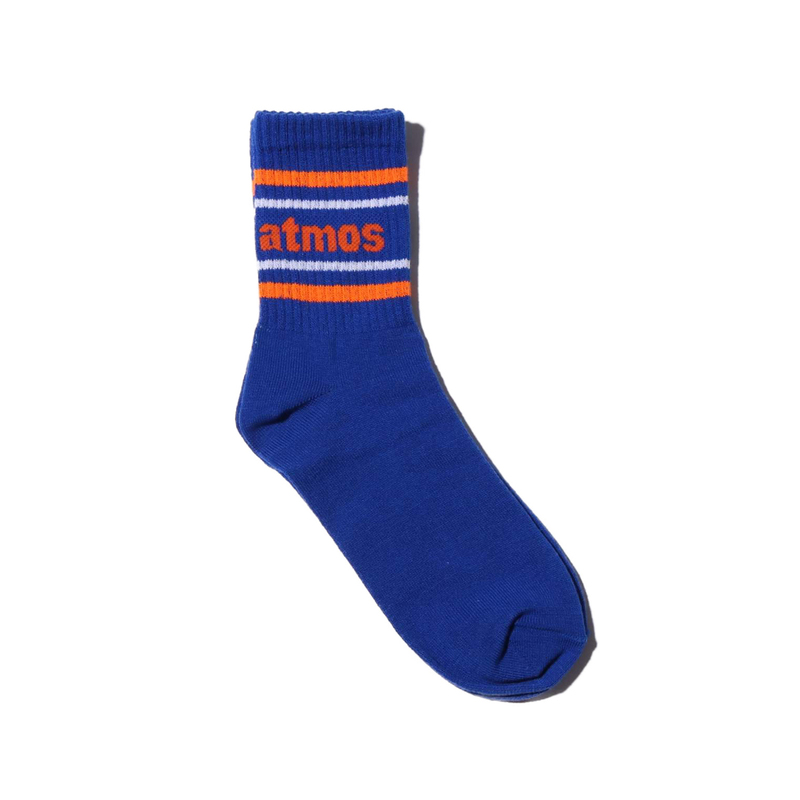 from 9:00 JST via atmos.com (https://www.atmos-tokyo.com/shop/r/rfone/)! Don't miss this chance! 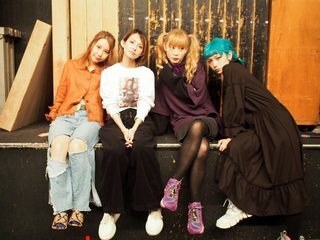 A behind-the-scenes interview about the production of SCANDAL's double A-side single 「Masterpiece / Mabataki」! 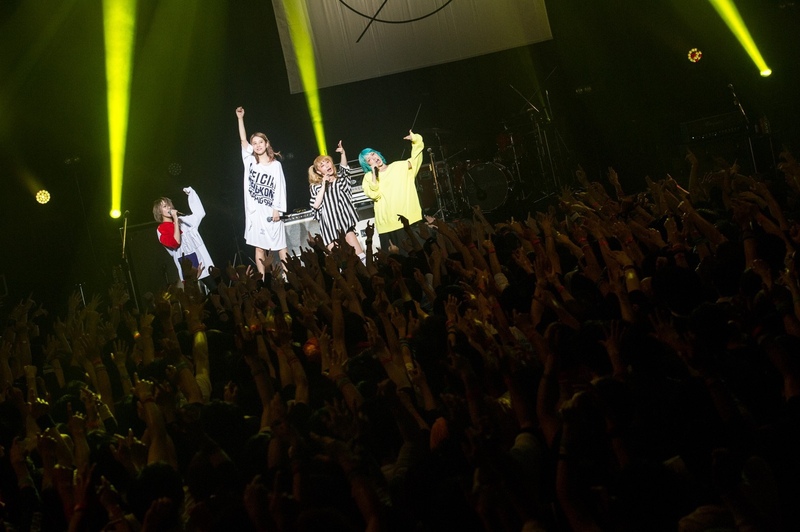 SCANDAL is an all-girl band who celebrated the 10th anniversary of their major label recording debut last year. 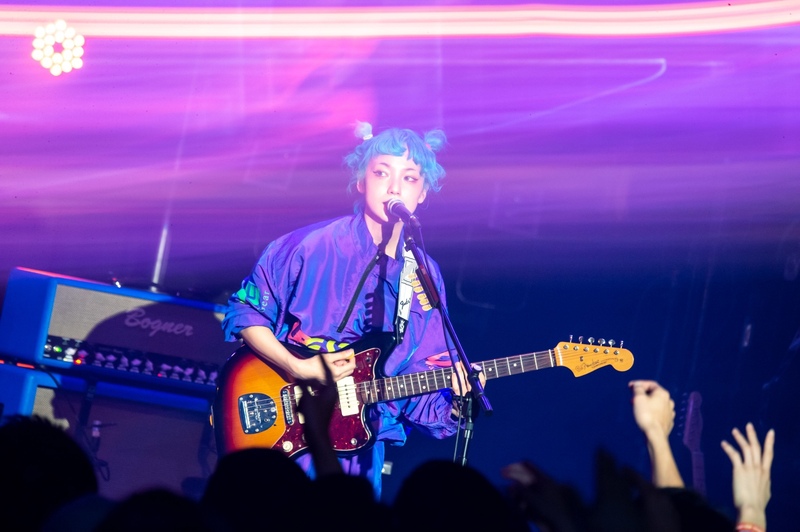 Their private record label 「her」 was established at this commemorative milestone, a place where they could express themselves more freely was created, and SCANDAL's new chapter began. 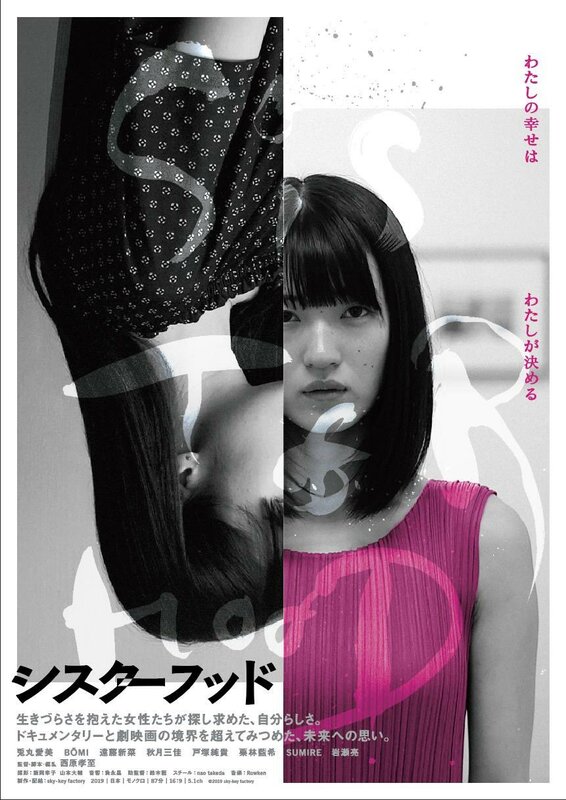 The first release from 「her」 is their newly-issued 「Masterpiece / Mabataki」 single that was just released on 3/27 (Wed.). It is an artistic masterpiece of a double A-side single. 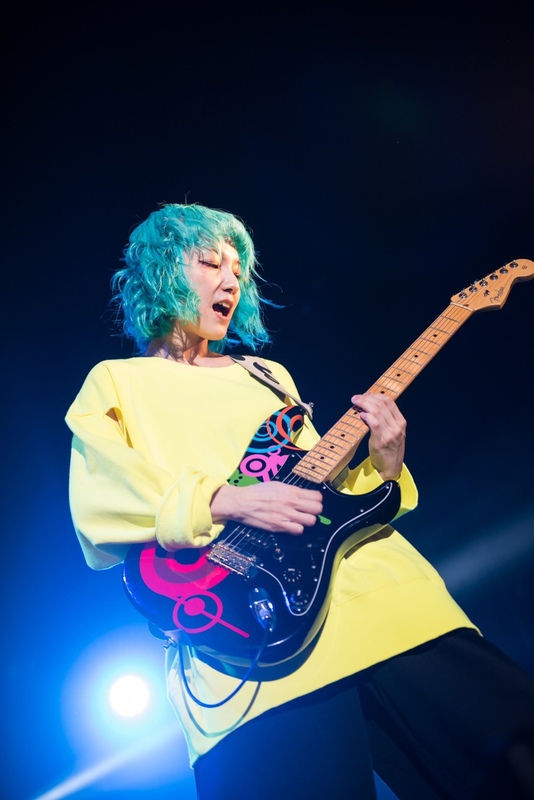 We interviewed SCANDAL's guitarist & vocalist MAMI who came to Fukuoka to serve as a one-day manager at Tower Records for an event for this release! 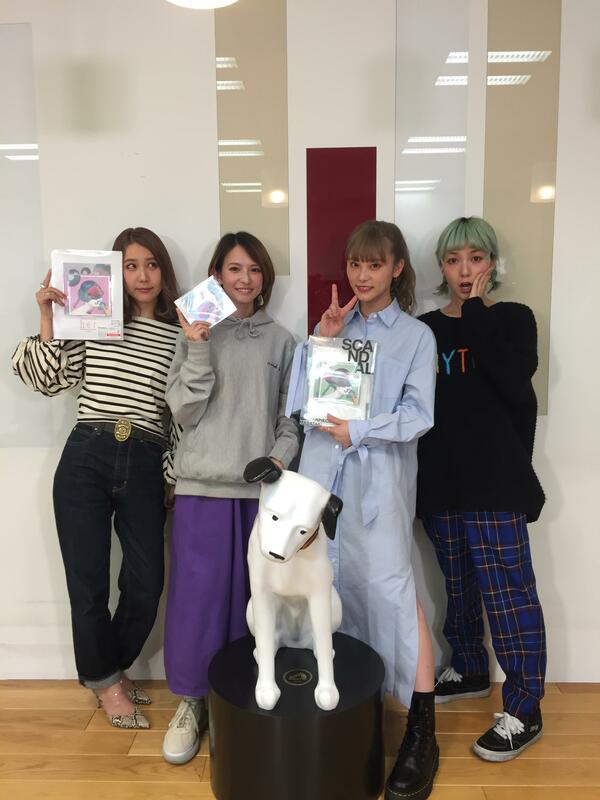 We asked her about her thoughts on their private label 「her」 and behind-the-scenes stories about the production of their new single. ——You launched your private label 「her」 last year! How did you go about doing that? MAMI: The band formed in 2006, and last year we celebrated the 10th anniversary of our major label recording debut. That was when the four of us talked about things like, "It'd be great to do something new once more." However, it wasn't clear at first what we should do. As we were discussing things, we came to the conclusion, "Shouldn't our next step be to start our own label...!?" We didn't write the music for our songs when we had debuted, and we still had a complex about it even when we began to self-produce our songs. 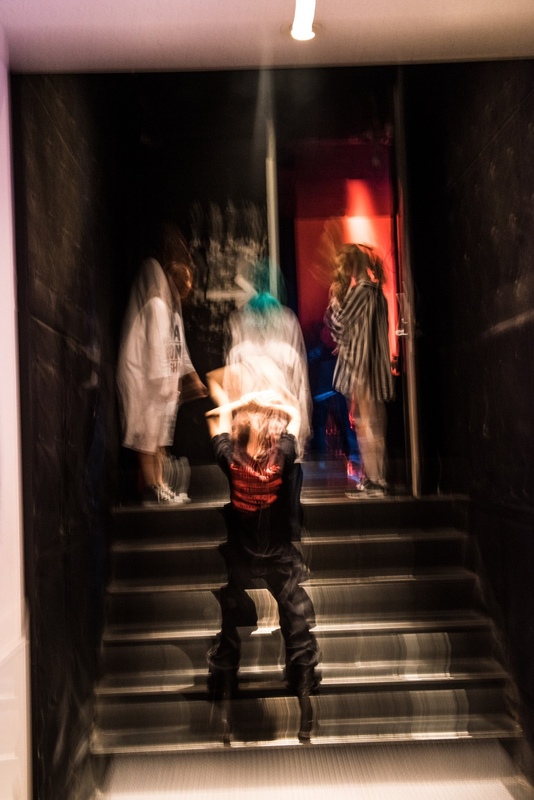 But, it became possible for us to acknowledge that complex gradually by continuing to do professional activities for 10 years, and now we thought we'd try challenging ourselves to create our own place. ——Have there been any changes since establishing 「her」? MAMI: Firstly, the "feelings" we have are completely different (laughs)! We've gained more freedom by having our own label, and we're excited to start new things. 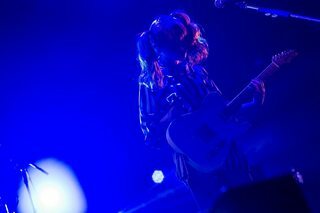 The reason why we went with the name 「her」 is because we want to cherish our femininity as an all-girl band. You can tell that it's a female artist's label with this one word, and how the written word looks and its nuance are also nice. I'm glad we went with 「her」 and not 「she」, nor another noun. ——The double A-side single, your first release on your new label, was released on 3/27! It seems like you made this as if you're re-debuting! 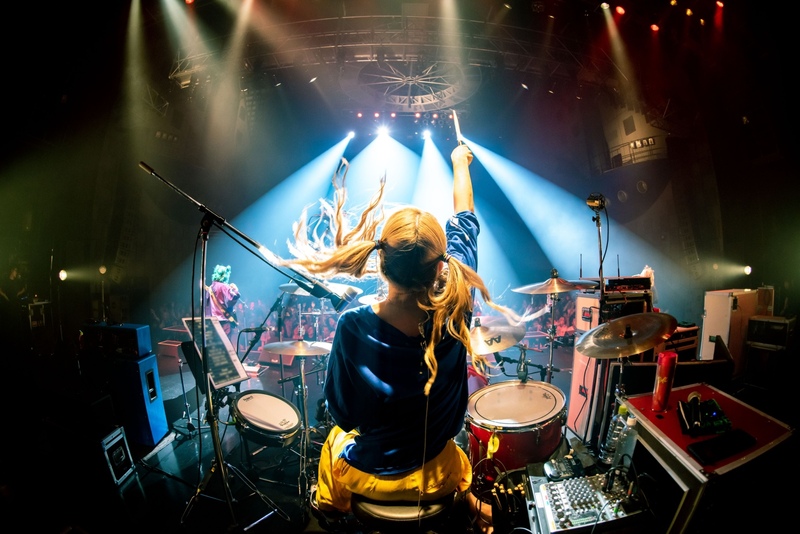 MAMI: Our drummer RINA handled the lyrics for 「Masterpiece」, and these past 10 years have made us who we are now. We spelled out our thoughts of, "Let's kick off to another start from here!" It feels so fresh because everything is renewed and we're off to another start. 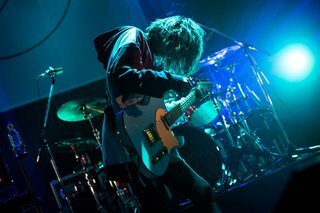 ——The first lines of lyrics in 「Masterpiece」, 『A starting signal always rings out suddenly - My racing heartbeat can no longer be stopped』, reflect SCANDAL's current state of mind. 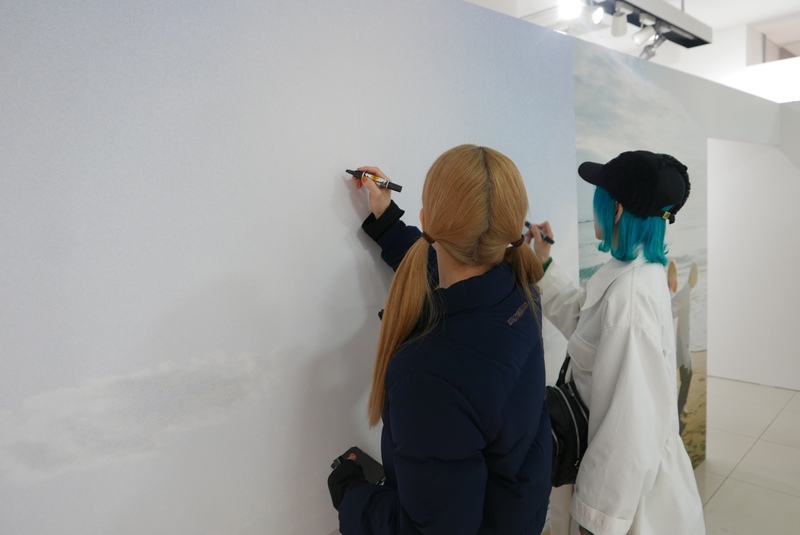 MAMI: Recently, we hadn't really done much to spell out our state of mind in our lyrics. We didn't want to force our feelings nor our circumstances. That's why there were a lot of lyrics that we left to the listener, but this time, these are lyrics that we can write right now, and ones that we can only write right now. We hope that it'll be a song that intersects our story with your daily lives! 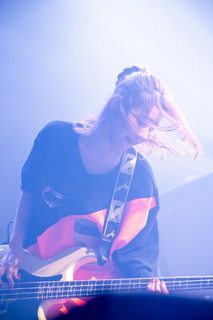 ——The music also conveys a momentum to push on forward! MAMI: That's right. Since this is a song that's packed with everything we have, it feels like we get stronger each time we perform it. Actually, it originally wasn't like how the song is now. 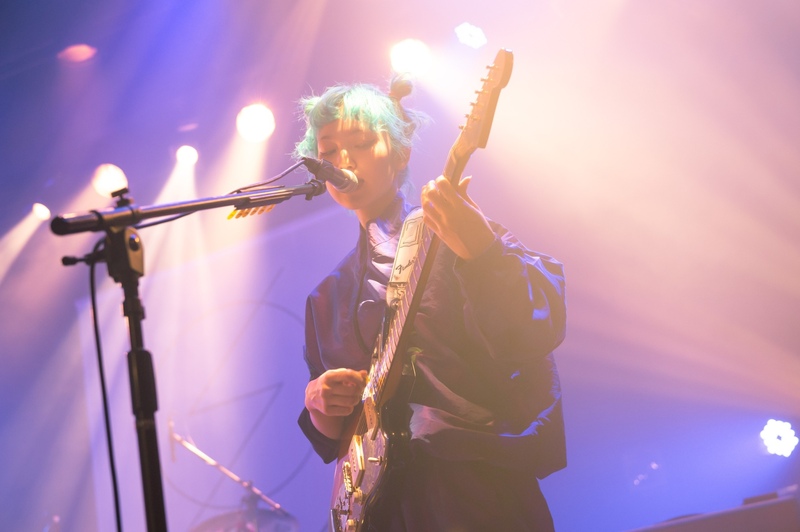 Although I had already completed writing the melody and arrangement about a year ago, the arrangement at that time had a beautiful nuance that contained strings, and it had a totally different atmosphere from the current song. However, when we talked about how it would be enlisted as the first single from 「her」, I inwardly sighed and felt troubled... A year had passed since completing the song, so I might have not been able to face it in the same feeling as back then...that's what I thought. It became an important song that would kick off a new start for us, and we decided to rearrange it once more. 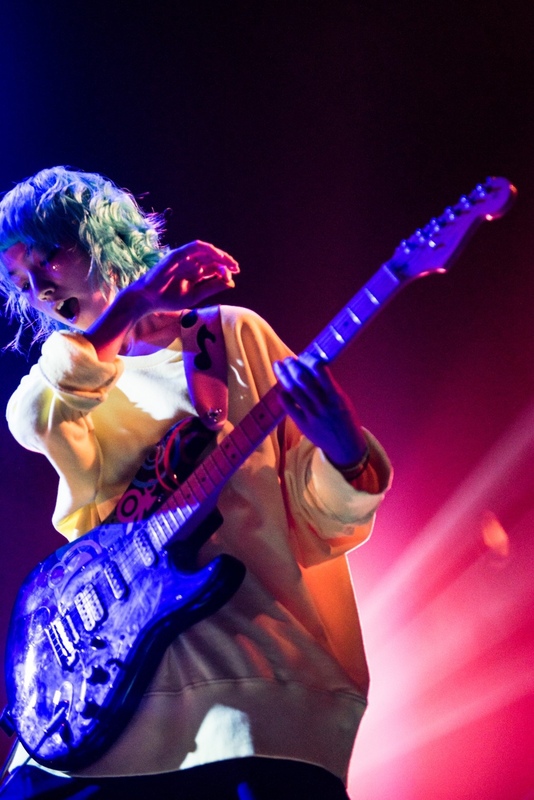 For the arrangement, we entrusted it to Keita Kawaguchi-san and gave him detailed requests like, "We want to make something that's endlessly bright," and, "We want it to start with a heavy riff." Kawaguchi-san has been continuing to watch over SCANDAL since our debut, so he took good care of our thoughts and feelings! ——What were you picky about when recording it? 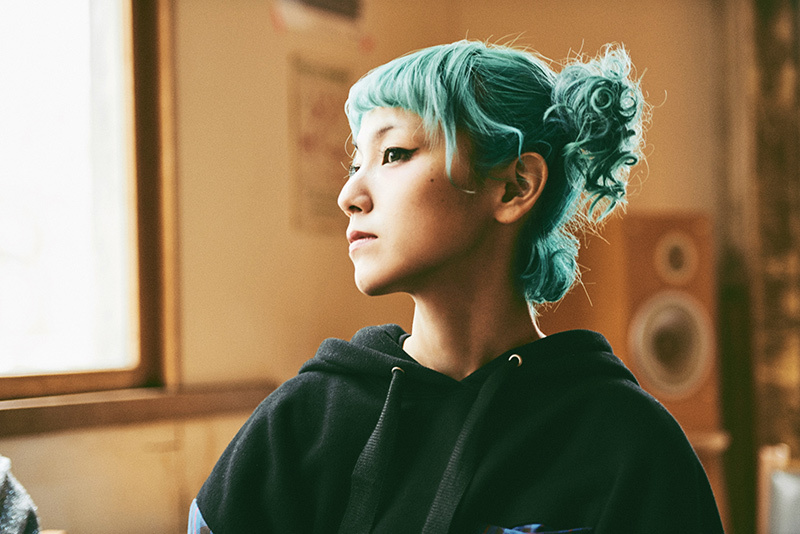 MAMI: 「Mabataki」 features lyrics and music by our drummer RINA while the arrangement was handled by me. 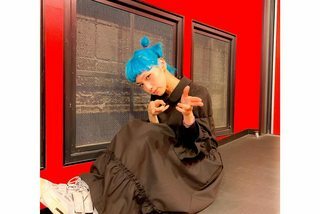 RINA had sent me the lyrics, melody, and rhythm via a voice memo, so she had a clear image in her head from the beginning. She had specific requests for the arrangement, and I made sure to not make it too loud. 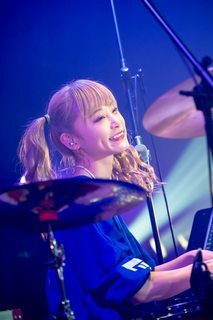 To express a girl's airy, swaying feelings, the instrument phrases have been looped; a keyboard is used; and we made the "gaps" into feel-good music. But I have a habit of making arrangements too heavy (laughs). I first made it at 100 so that I did not put the crescendo on the instruments as usual and then subtracted from there. We hadn't done arrangements where we configured the keyboard to sound like anything but what it originally sounds like, so that was a new approach for me personally. I'm happy that there are many people who have praised this arrangement! 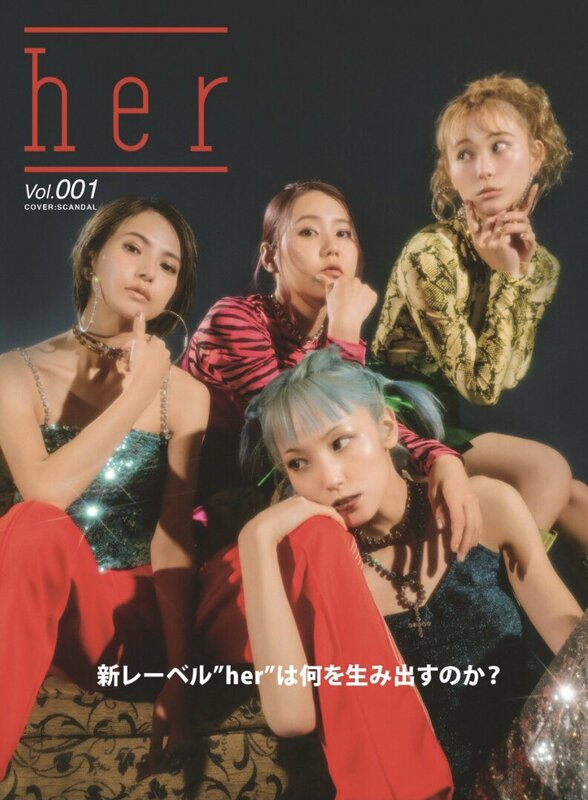 ——Please tell us about the 「"her" Magazine」 that comes with Limited Edition A.
MAMI: We want you to see the natural us, and there are exclusive pictures; an interview about 「her」; solo interviews; and a personality quiz with a chart where you can see if you're the "MAMI type." At any rate, we wanted to make an unprecedented, luxurious edition (laughs). 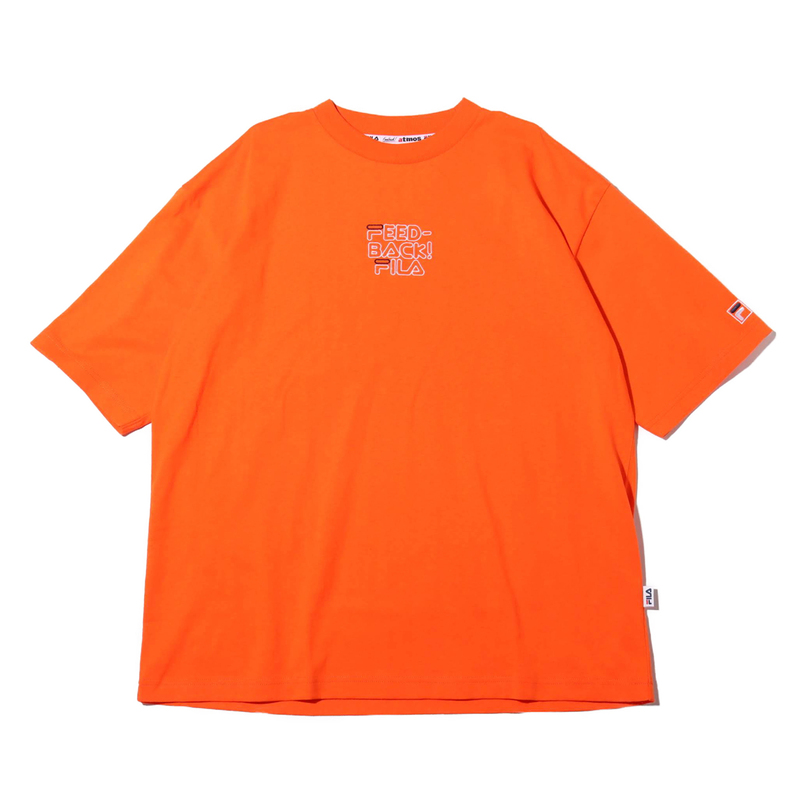 Limited Edition B comes with a t-shirt. ——How is your current state of mind during your 11th year of being a major label band? 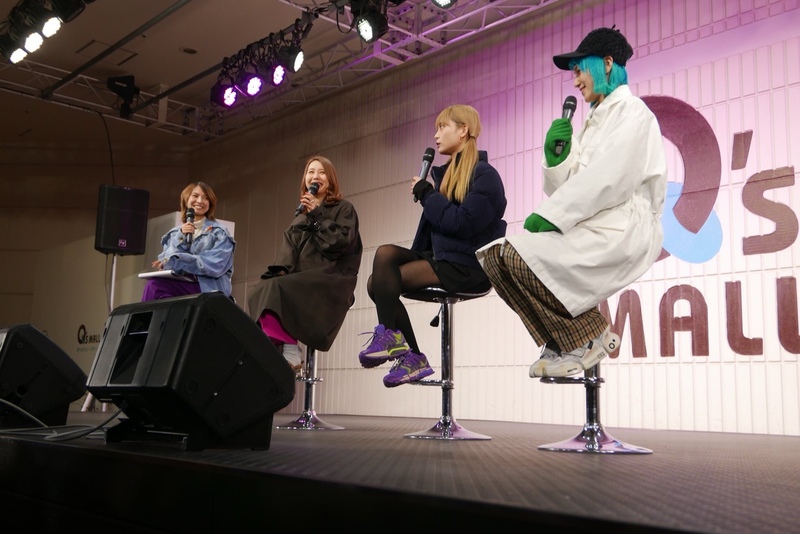 MAMI: We want to continuously put out good music from our new label 「her」. Also, since we're a band that loves live shows, we want to tour non-stop! 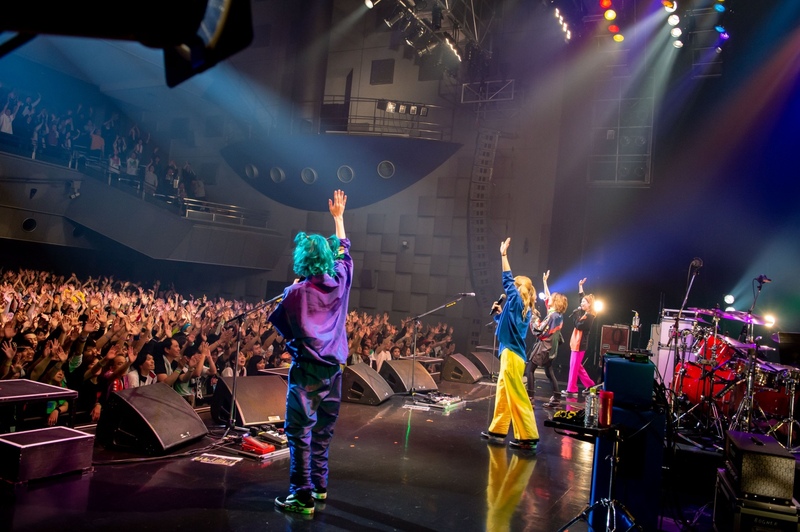 Our nationwide tour starts in June, and since we'll be coming on 6/22 (Sat.) 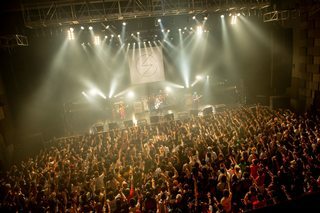 to play a live show at Zepp Fukuoka, please come out and experience the current SCANDAL for yourself! 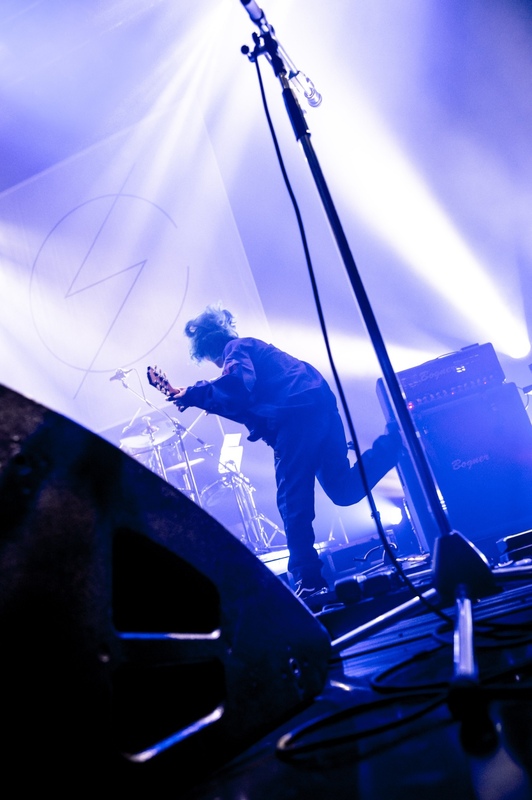 ——We're looking forward to the show in Fukuoka! By the way, what's something popular among the band? ——MAMI, you're such a trend leader! 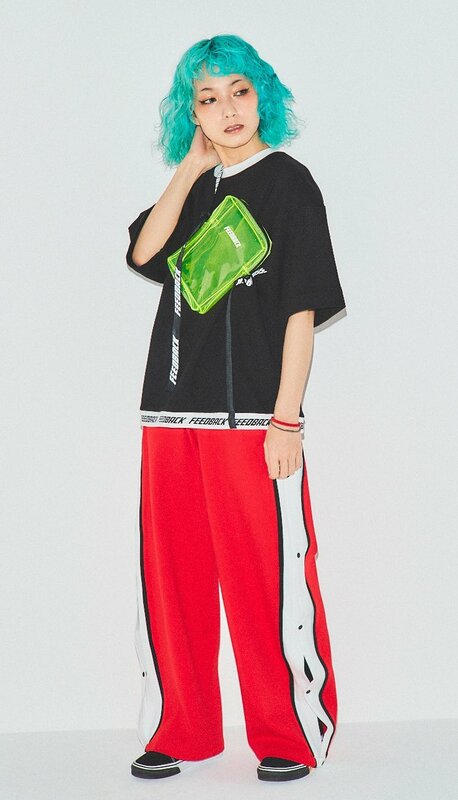 What fashion-related thing are you currently obsessed with? 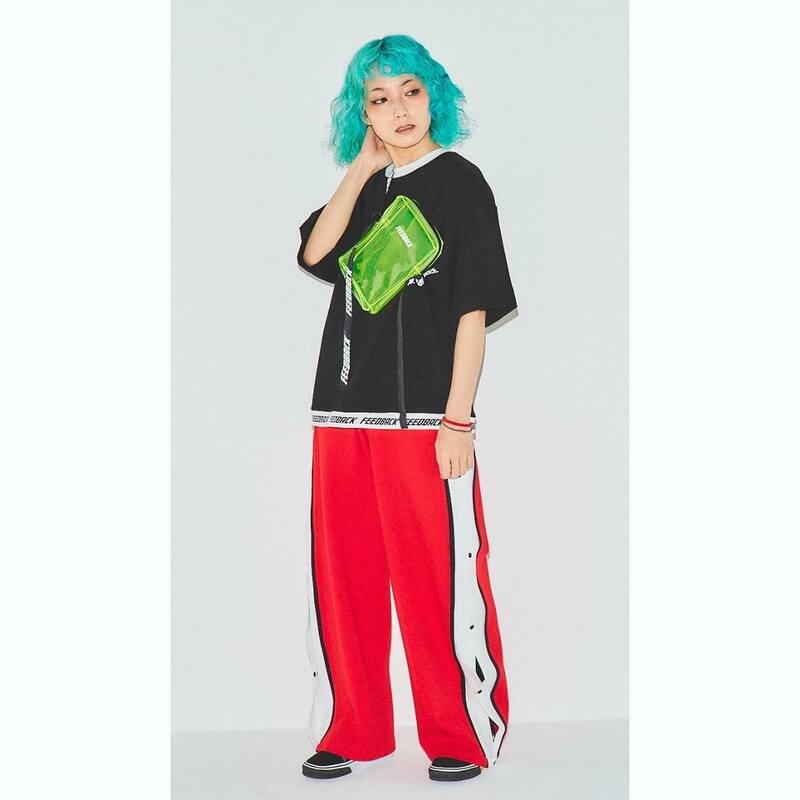 MAMI: Maybe clothes that come in primary colors. Today, it's yellow! 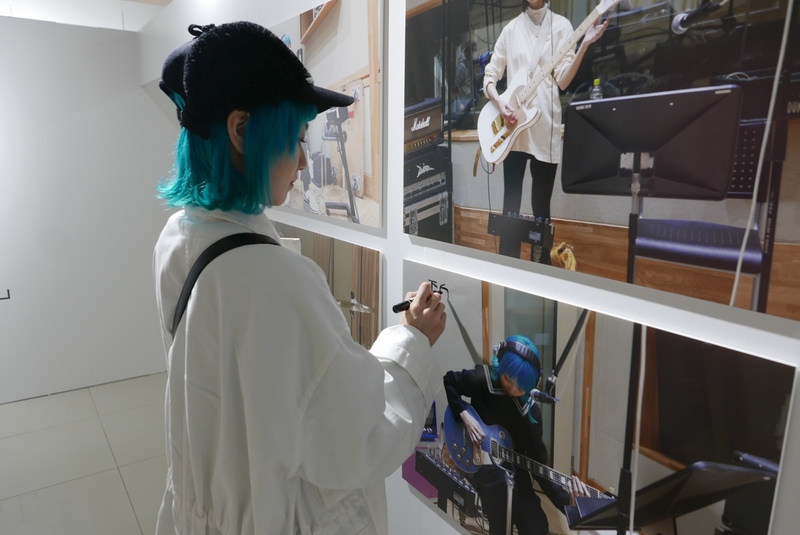 These days, since i have this hair color, I often choose blue clothes. Basically, I go with blue・red・yellow. Oh yeah, when my hair was pink before, I often wore pink clothes〜. 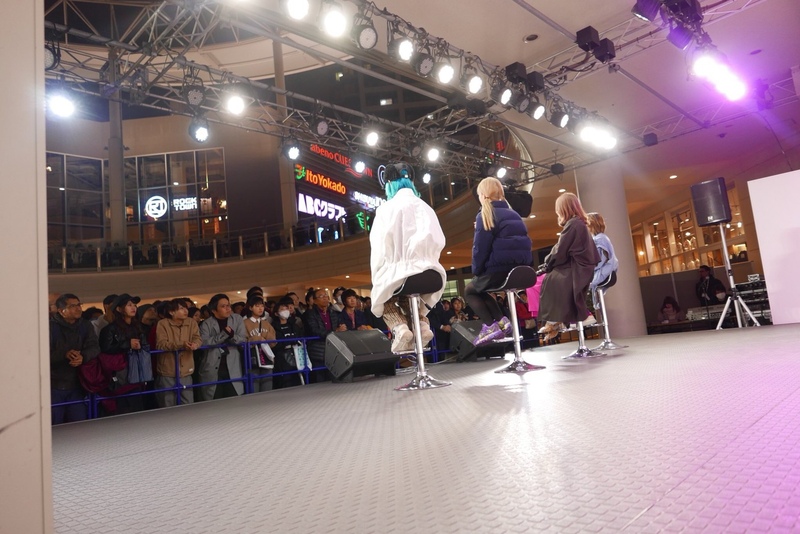 ——For MAMI, who has come to Fukuoka several times, what do you enjoy about the Tenjin area!? MAMI: It has to be the food! Aren't there a lot of unagi (eel) places in Fukuoka? I feel like I caught sight of a lot on the road. Oh, and speaking of which, I thought that there were many opportunities to eat salmon in Fukuoka—in fact, I also had it for lunch today (laughs). I plan to go eat at 「Kawaya」 at night. I've al〜ways been interested in it, and since I heard that it tastes different from the one in Tokyo, I want to try how it tastes where it originally comes from! 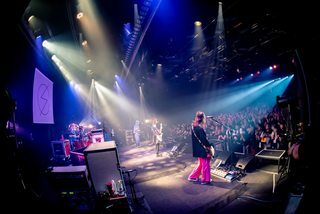 At the red-hot SHINKIBA STUDIO COAST! This was our first solo live show at the COAST! Best regards from here on out too! TOMOMI:「The finale of our fan club tour! 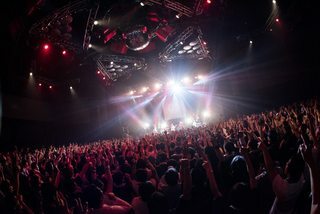 The finale in Tokyo - thanks so muchー! 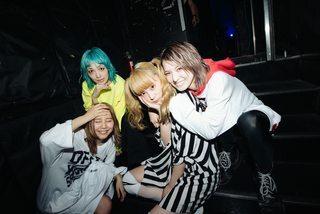 SCANDAL:「SCANDAL MANIA TOUR 2019 at SHINKIBA STUDIO COAST! Thanks so much! You MANIA members were awesomeー! We'll post the setlists again! We'll be awaiting the thoughts of those who participated! 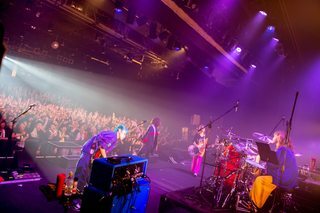 Those in MANIA who came out, thanks so muchー!!! Didn't it turn out to be like, "Hmm, is this a sauna?" It looks like our usual sources for TV programs will no longer be reliable going forward; as such, I was the one who ripped this program and paid for it using our donations. Subbing this long program as well as subbing in general is also quite time-consuming. So if you'd like, please consider donating to continue supporting us and our work! Thank you very much! 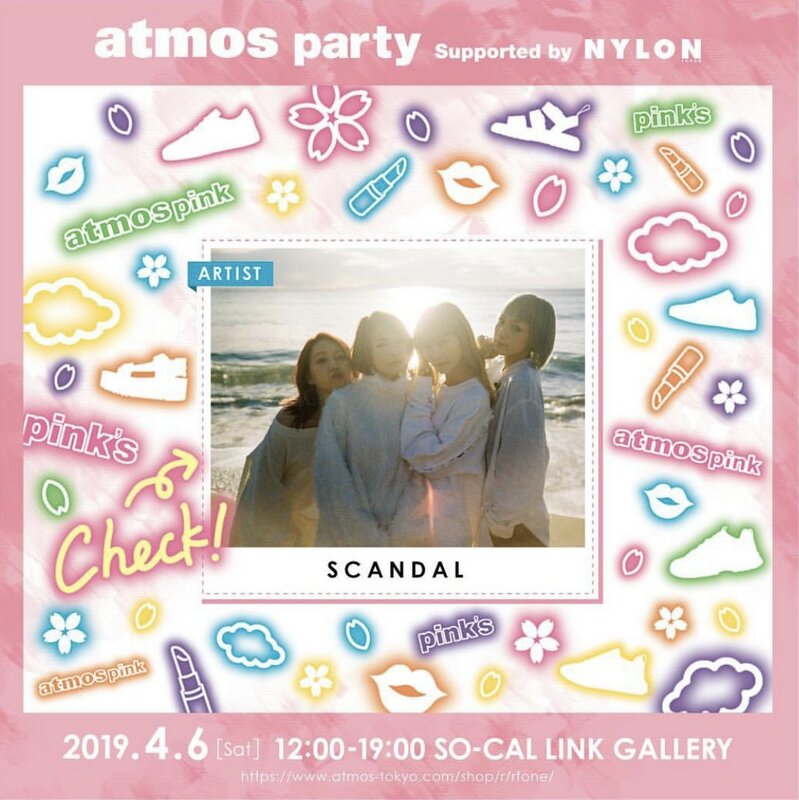 "atmos pink party Supported by NYLON"
But we'll announce the details again on 4/9 (Tue.). So please look forward to it! All right, we have a live show tomorrow! 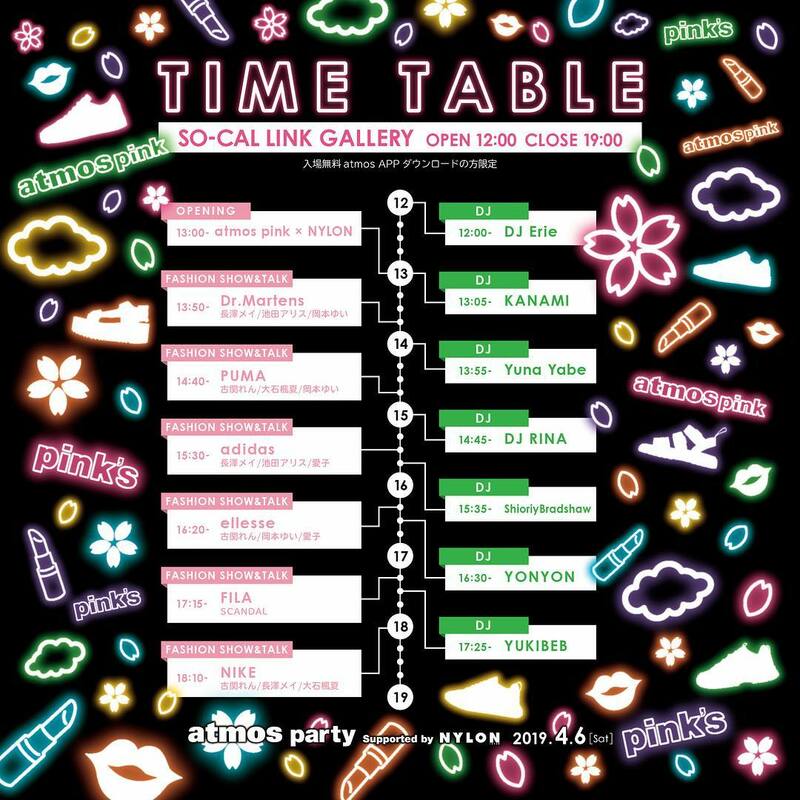 SCANDAL will be appearing at the 「atmos pink party」 fashion event on April 6th. 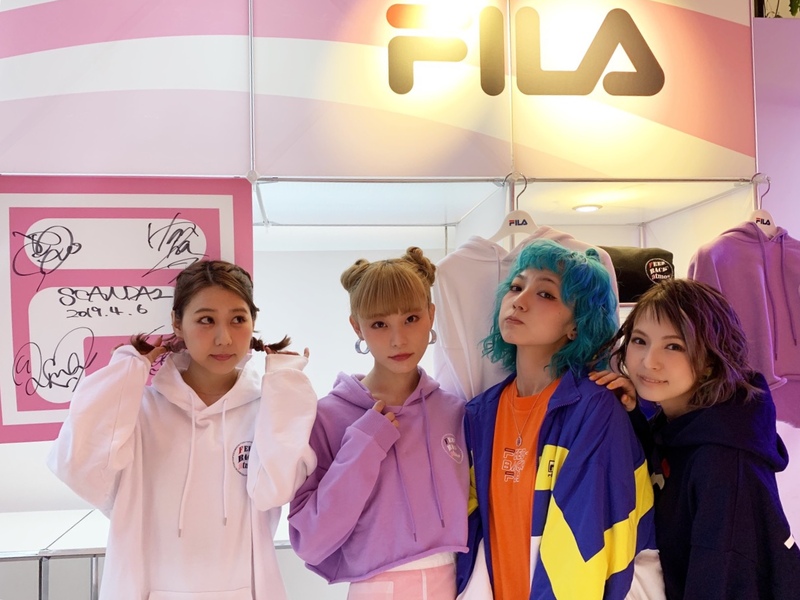 SCANDAL is appearing on the FILA stage from 5:15 pm for a "fashion show and talk." 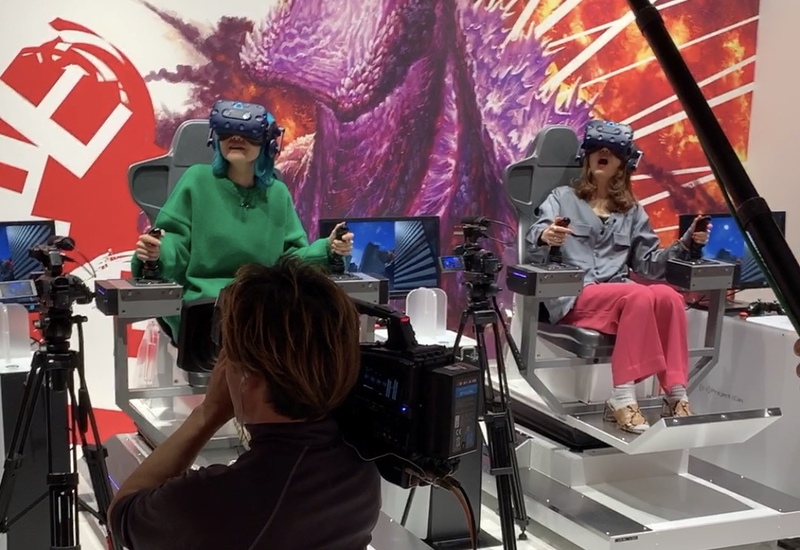 Here's a preview of SCANDAL's VR experience in Osaka that'll be aired on YTV's 「ONCHIKA」 next week, April 11th! This video also contains clips from SCANDAL's and TOMOMI's Instagram Stories. 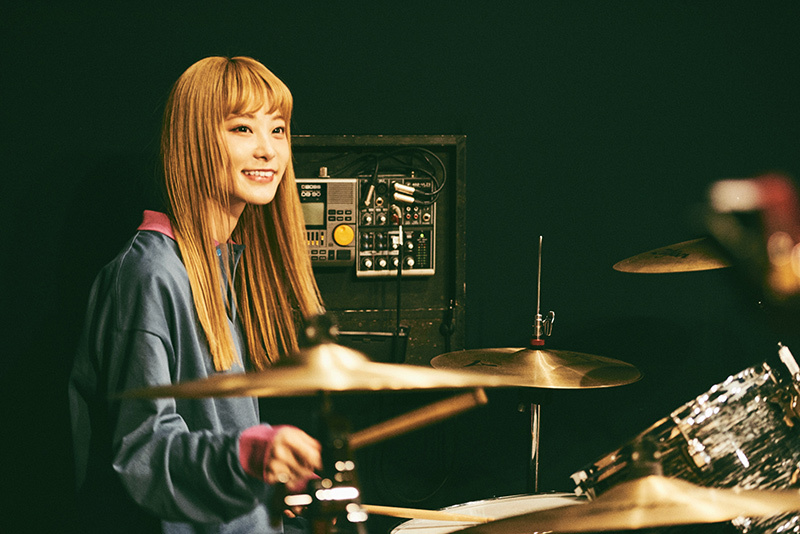 RINA will be appearing at a talk event for the movie "Sisterhood" on April 14th. After a screening of the movie "Sisterhood" on 4/14 at Yokohama Cinemarine, I will be speaking with the director Takashi Nishihara. I had gone to see the movie privately and tweeted about how much I liked it, and the director saw it and reached out to me. I was surprised by the unexpected development, but it makes me very happy. I would like to talk about things I felt while watching the movie, my thoughts on feminism, and my attitude toward making music. Above all, I want to talk about how I want all kinds of people to watch this movie. Those interested, please come out to it. I'll be waiting! I went to go see the long-awaited "Sisterhood" movie. It was really great. Similar to how we gave the name "her" to our label, I've been really fascinated by the increase in opportunities to think about gender once again. Look it up, and if you're interested in it, I'd like for you to go see it. 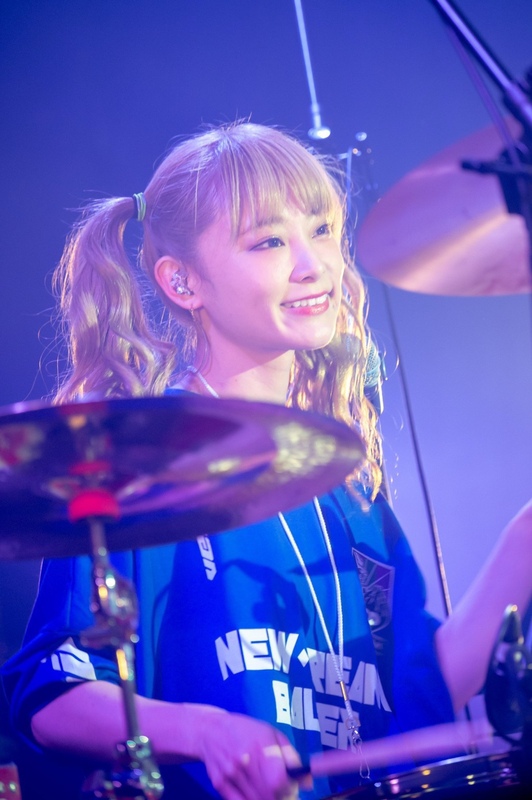 After the screening of the movie 『Sisterhood』 currently out nationwide, drummer RINA of the all-girl band SCANDAL, Japan's leading all-girl band who boasts a huge popularity among teenage girls, will make an appearance! 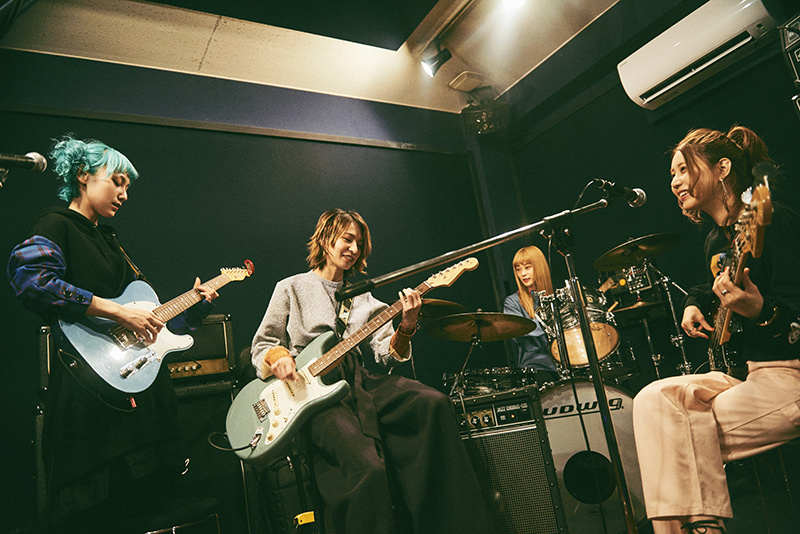 A multi-faceted conversation with director Takashi Nishihara will be held relating to the thoughts of women living in the present, and how SCANDAL's private record label "her" that was established this spring led to its first release on 3/27: the double A-side single 『Masterpiece / Mabataki』. ※ The speakers are subject to change without notice. ※ Please be aware that there will be media coverage. ※ No picture-taking/recording is allowed. ※ Presents are not allowed to be given directly to the guests. ※ Please note that the time schedule may be delayed for convenience. 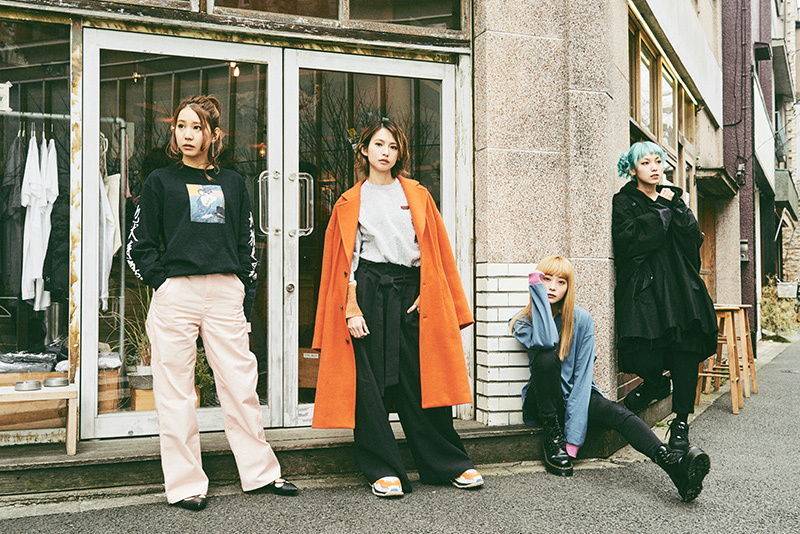 We will be translating the "her" Magazine that comes with the Limited Edition A version of SCANDAL's new 『Masterpiece / Mabataki』 single! If you haven't already, please support the band and pick up a copy of this edition! 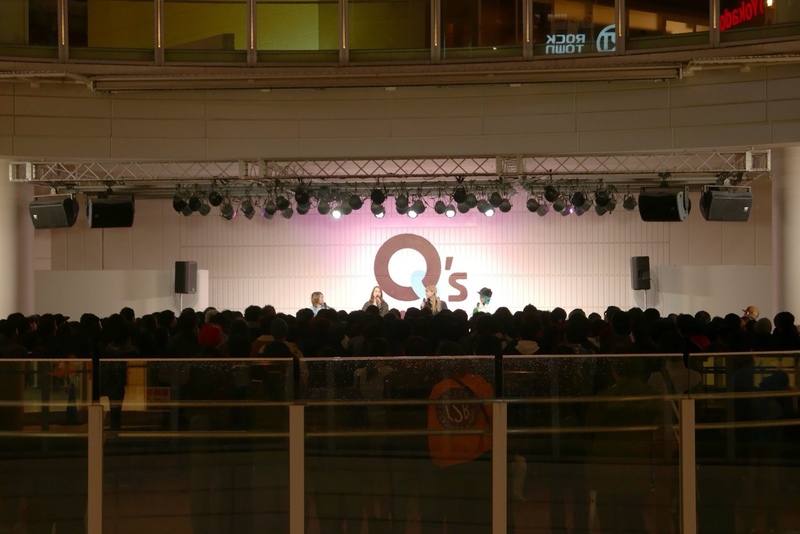 First up is the "Personality Quiz" where you can find out which SCANDAL member you're most like! We've recreated it as an online quiz. Try it out and post in this thread which member you got! 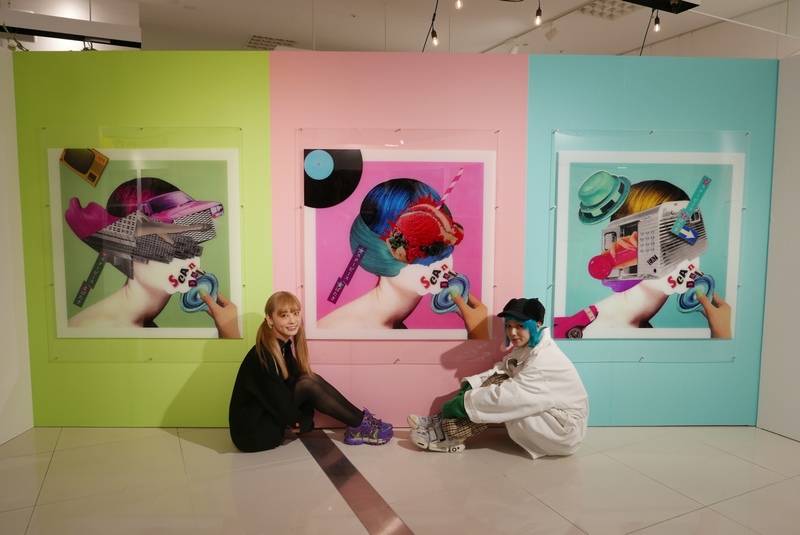 "SCANDAL her ～Kanojo-tachi no Atelier Ten～ (A Girls' Atelier Exhibition)"
At Tower Records Abeno Hoopー! And is so, so awesome! We'll have the other info posted on our site soon! "Hohoemi Zadan-kai (Smiling Round Table Discussion)"
In the cold while it drizzled! Who will be starting something this spring, or whose environments will change. 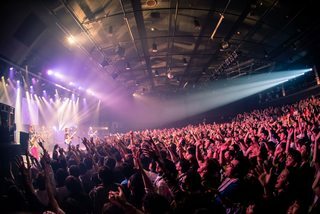 I hope that "Masterpiece" or "Mabataki"
Was in our hometown of Osaka! Such a warm, HAPPY atmopshere! From 18:30〜 at Abeno Q's Mall, so feel free to come! 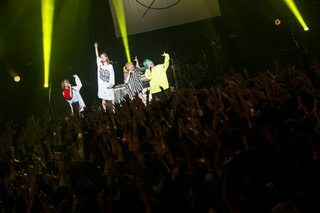 SCANDAL:「SCANDAL MANIA TOUR 2019" @ Namba Hatch! 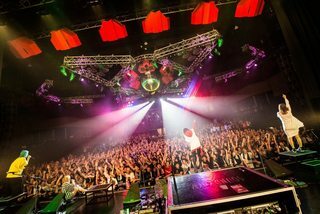 Thanks so much to the Osaka MANIA membersー! Today was awesome tooー! Keep the content a secret still Next week's Shinkiba! Thanks to everyone who came outーー!! 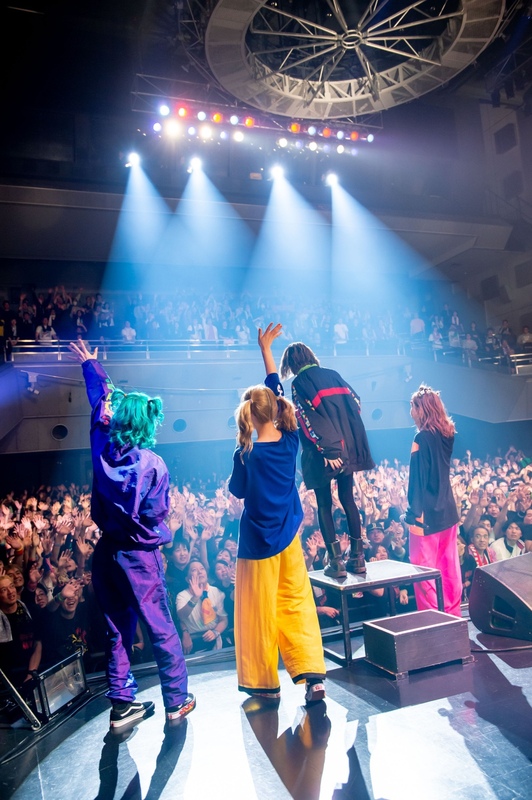 SCANDAL:SCANDAL:「SCANDAL MANIA TOUR 2019" @ Nagoya DIAMOND HALL! It was red-hot! All kinds of things jump out during this MANIA TOUR! 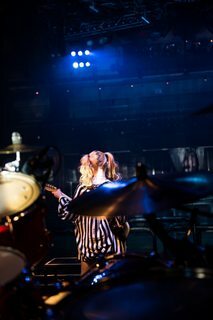 MAMI:「Day 1 of our MANIA TOUR, Nagoya!! Everyone in Nagoya, please keep supporting SCANDAL! 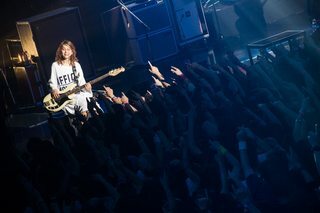 TOMOMI:「Thanks for coming to our MANIA TOUR in Nagoya! Day 1, Nagoya! My hometown!! It turned out to be an awesome opening dayー! Thanks to all the MANIA members who came out! It truly was 120 points out of 100! Doing fun things together, okay! We'll do our best in Osaka tomorroーw! 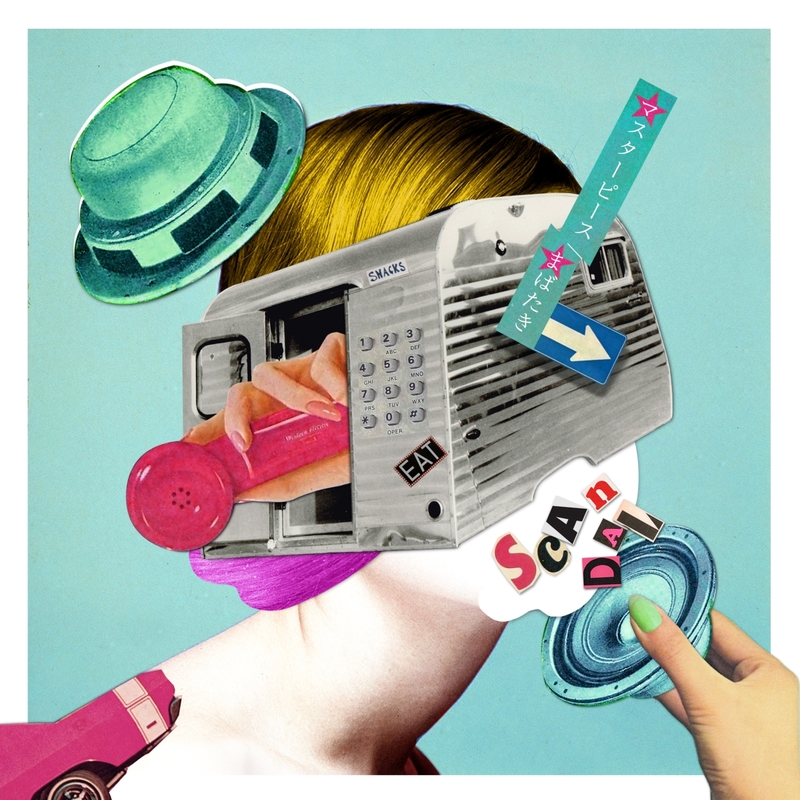 SCANDAL will be releasing their new single 「Masterpiece / Mabataki」, their first single in two years, eight months. 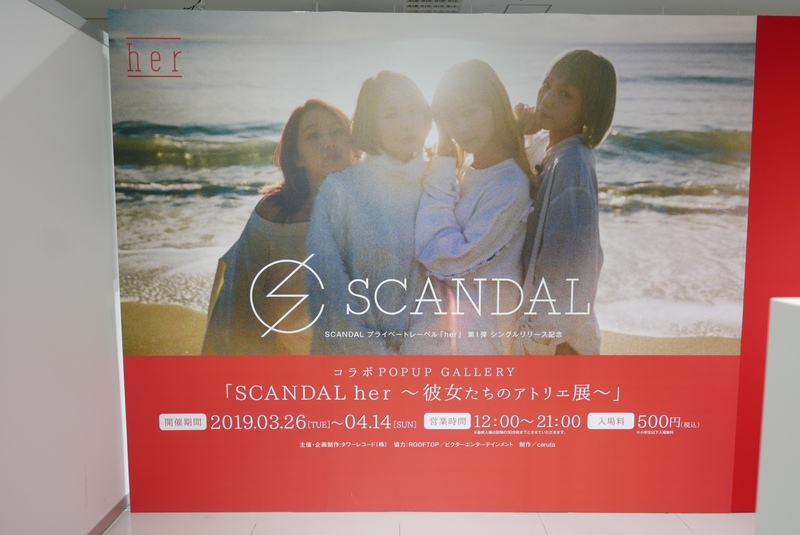 The first work that will be delivered from their private label "her" that was established at the end of last year is SCANDAL's first double A-side single. 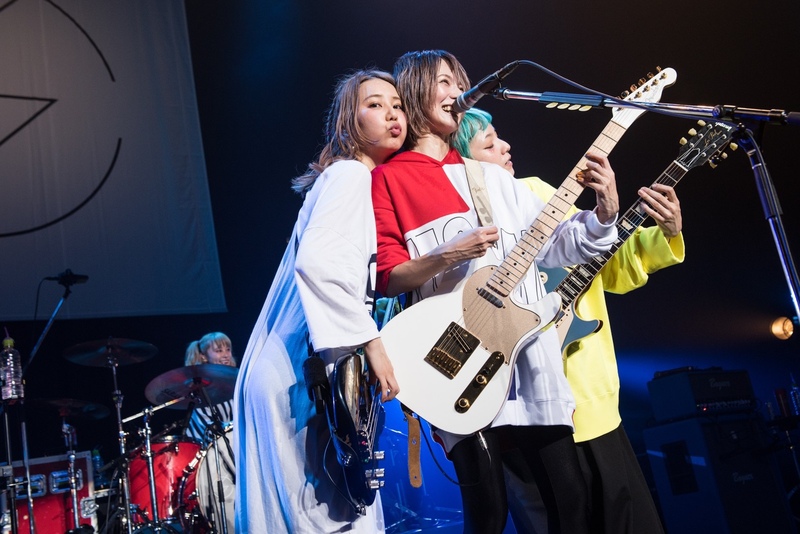 The song 「Masterpiece」 that they debuted live last year is a punkish number that loudly conveys their new start, and the second song 「Mabataki」 is a city pop-like love song that extols a soft atmosphere. Having two songs at opposite ends of the spectrum, the quartet will once again show their pride of being Japan's leading all-girl band. This Music Natalie cover story features close coverage of a day in the life of SCANDAL. 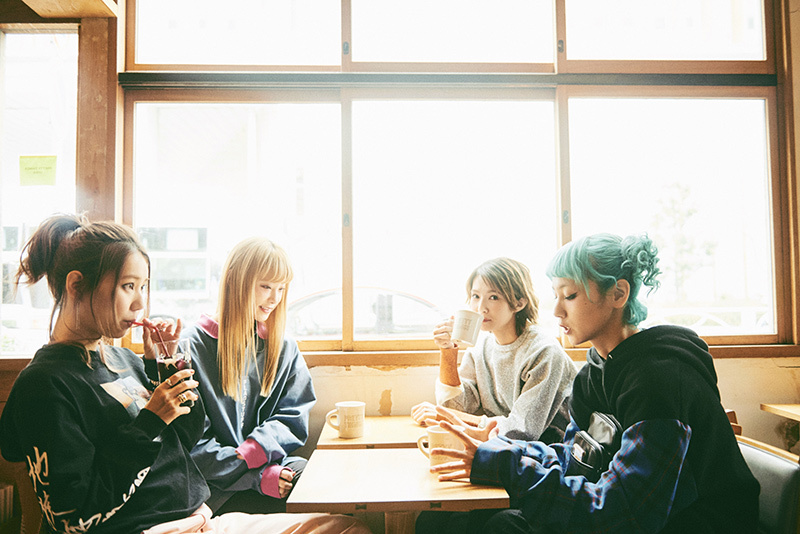 We snuck in to the studio they visit every week, and we conducted an interview with SCANDAL after they finished a meeting at a cafe. 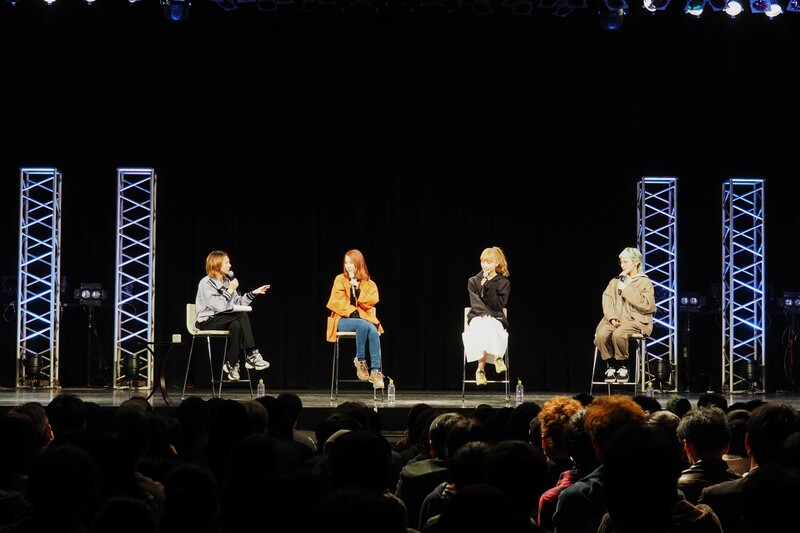 We had the quartet, who cannot hide their excitement about the activities that'll start in earnest from here on out in a new environment, talk about the process leading up to the launch of 「her」 and the thoughts they put into it, as well as the production of their latest work. 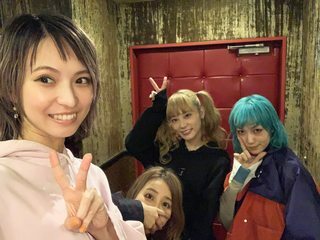 Once a week, on the same day of the week, at the same time, the four members of SCANDAL always go to the studio. 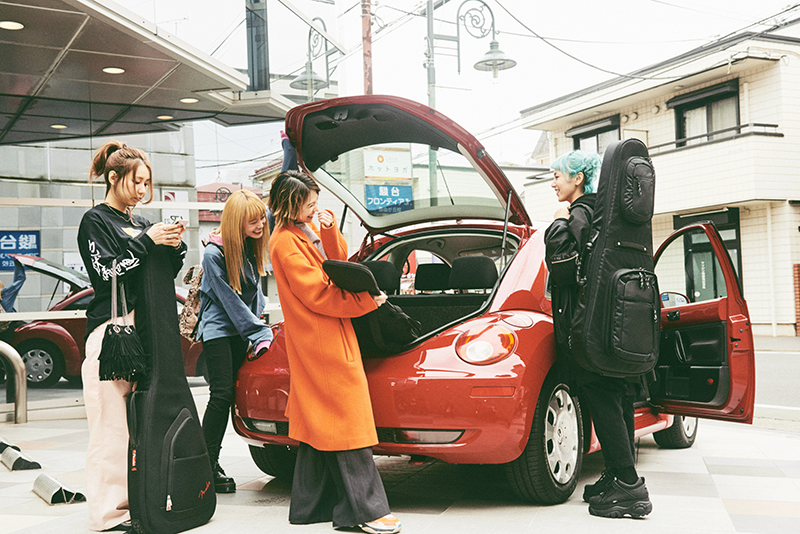 HARUNA picks everyone up in her car and head to the studio. The studio is always reserved for two hours, and during that time they have sessions, bring in new song ideas, and/or place their instruments. They spend those two hours talking away and doing whatever they like. Up until a few years ago, SCANDAL would often go to the studio for live show rehearsals before a tour. At some point they remembered "goofing around in the studio," and it is now incorporated as one of their weekly plans. They keep in touch and decide a few days before what they'll be doing in the studio. On this day they had a session with songs from popular bands who have appeared at the same festivals as them. 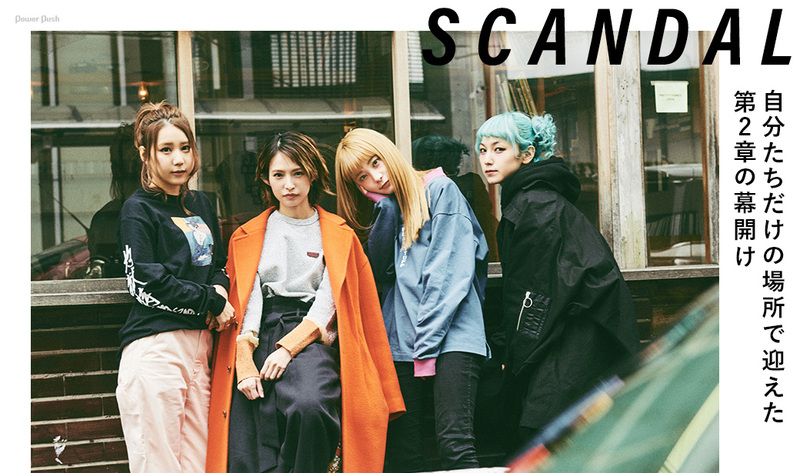 SCANDAL says this about this studio work: "It feels like our groove is enhanced by meeting once a week at the same exact time every week and having conversations in a space with just the four of us." They can share new ideas while they're fresh, and it seems like it keeps the band healthy. 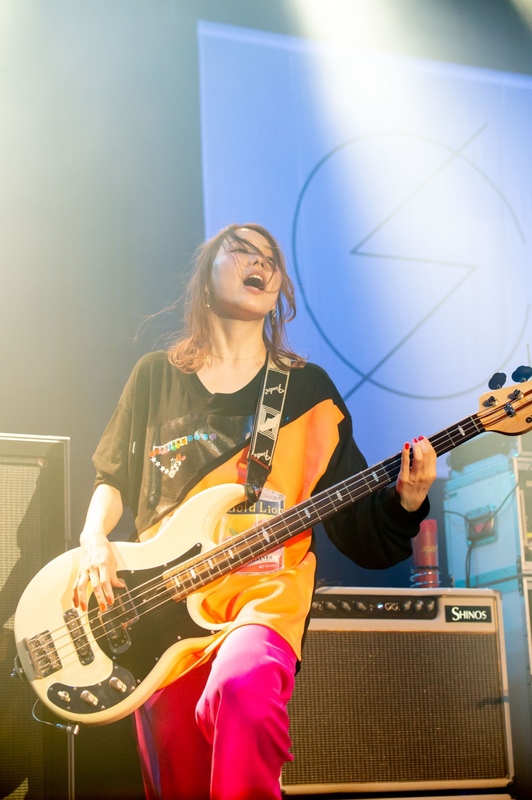 When time's up, they put away their instruments and jump back in to HARUNA's car. When they arrive at a favorite cafe of theirs after being driven by HARUNA, they catch up with each other and ask, "What did you yesterday?" After that, HARUNA drives each of them back home. 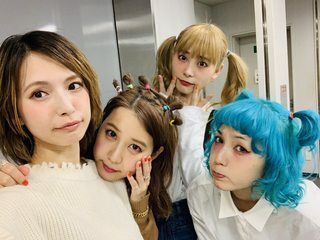 SCANDAL―who celebrated their tenth anniversary with its original members, and who celebrated the tenth anniversary of their major label debut―spends two hours a week as just the four of them. 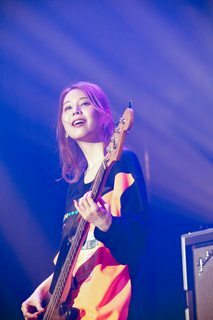 By establishing "her," it seemed like "The four of us can still do this"
──SCANDAL celebrated its 10th anniversary as a band two years ago in 2017 [Note: That anniversary was actually in 2016, though...], and celebrated its 10th anniversary being a major label band last year in 2018. 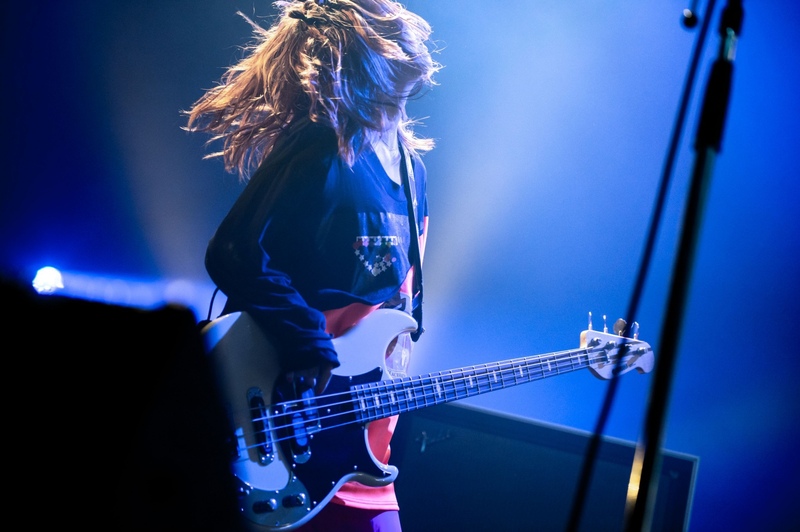 HARUNA: The two years of "10 year anniversaries" coming in succession marked a new chapter for us―rather, it was a huge thing for us to feel that we reached one big milestone. 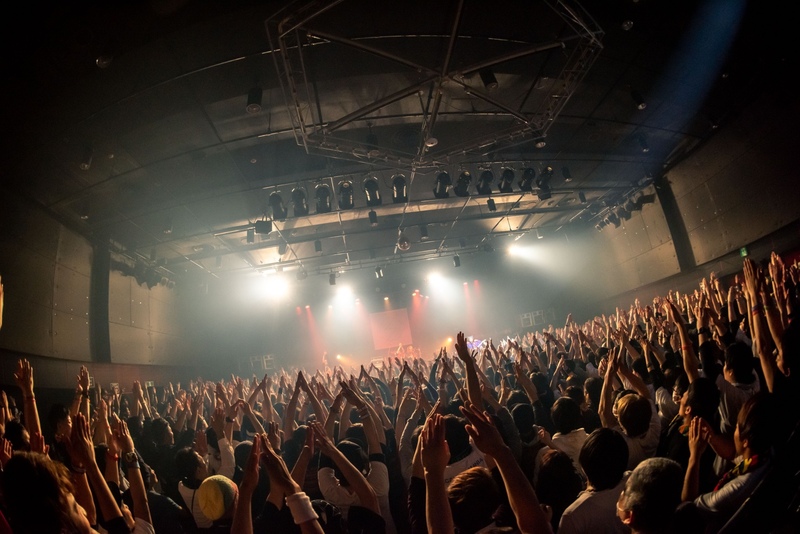 Because that was there, I think it led to the establishment of our new private record label 「her」. 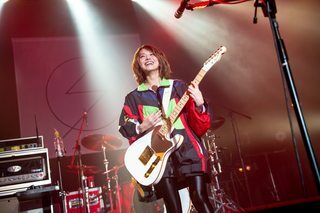 ──You debuted the song 「Masterpiece」, one of the songs on the new release, early during your 「SCANDAL TOUR 2018 "Kanshasai"」 held last November. Not only were you immersed in your strong emotions towards your 10th anniversary, you were already moving towards the future. RINA: That's right. Last year we took a break from appearing at festivals and only had a few chances to be out in the spotlight. That might be why it made us think, "What are we doing?" 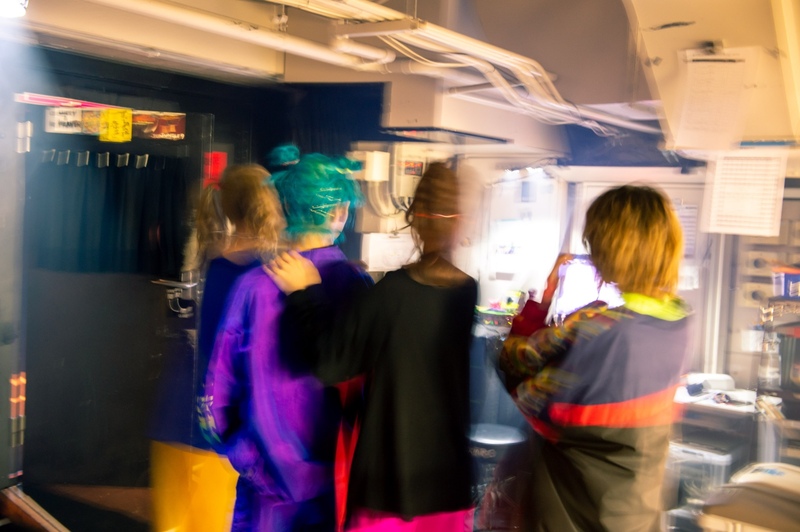 While we were getting things ready for 「her」 behind the scenes, we had been making songs the entire time. It was a year the four of us got together and did a lot of inner activities. ──Why did you originally decide to launch a private label at this time? MAMI: 「HONEY」, the album we released last year, gave us confidence that we made something really good, and since we reached the chapter of [being a major label band for] ten years, we all thought, "So what should we do now?" The four of us shared the same feelings of simply wanting to be more excited and to do something new at that time. At first it was a vague thought we had, but as we entered the studio once a week and got together to hold meetings, I think around last summer......or so, the idea of establishing a private label came up naturally. If that was to happen, it was possible our freedom would greatly increase and we would be able to do something new again, so we started to move specifically from there. 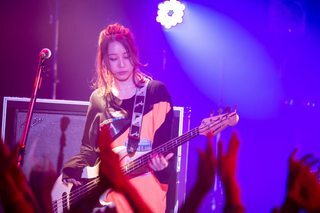 TOMOMI: It's because a "We want to update ourselves" mood had always been flowing through the band. That's why, when we talked about that, all of us had the same motivation to be able to get there. ──You announced the establishment of 「her」 during last year's Christmas live show on 12/24. It's been about three months since then; is there anything that establishing your label has brought to the band? 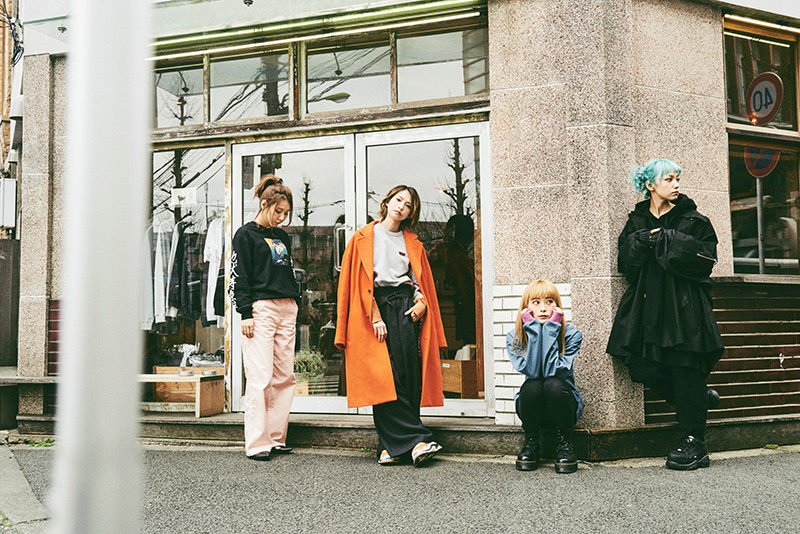 RINA: We went with the word 「her」 so that you could automatically tell it's a label launched personally by an all-girl band, and it feels like that made us see big themes for our future again. 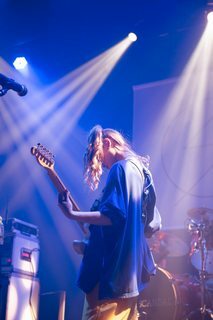 Rock bands generally have a cool; sharp; strong image to them, but it's possible to also express sweetness and softness as women in a band. 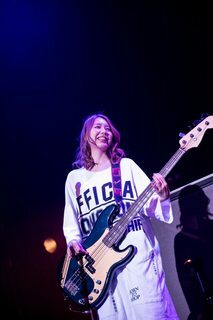 Since that's a strength and delight of being an all-girl band, we as SCANDAL want to focus on that. 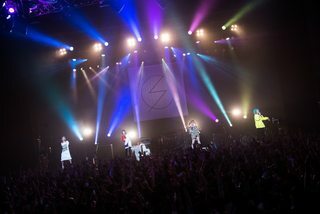 ──It feels like you've renewed your readiness as an all-girl band and have strengthened your resolve. 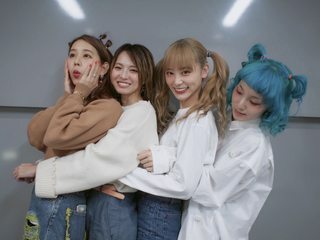 RINA: That's why we thought, "The four of us can still do this." It felt like our future as SCANDAL extended further. 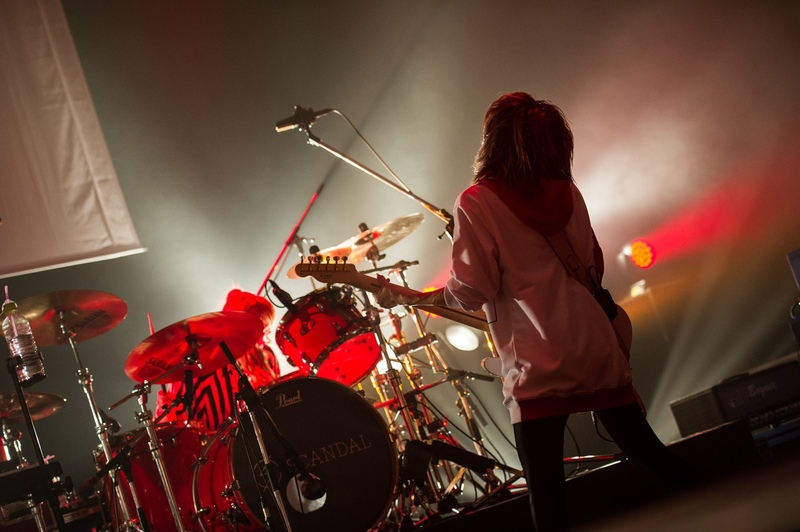 ──But SCANDAL has been doing very well so far. Like, since you also have a solid style you've built up, you haven't really felt that worried about the future. 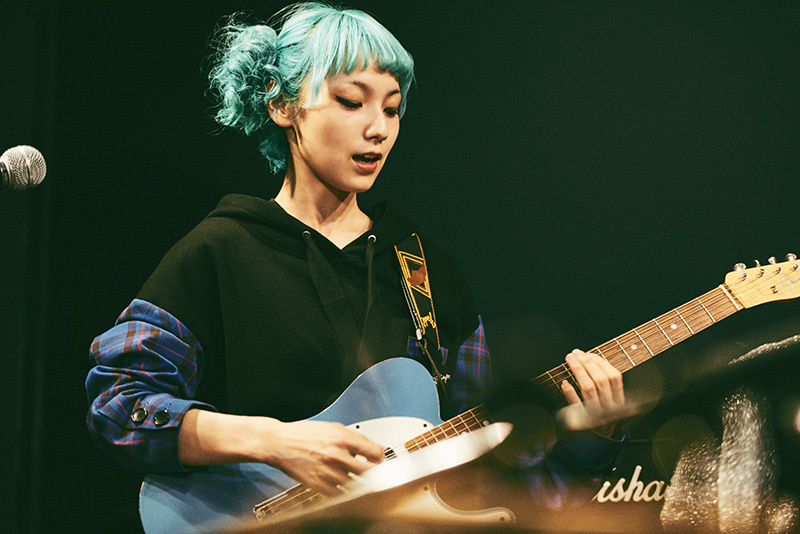 RINA: But we've always had feelings of wanting to improve. Looking back on it now, after releasing 「HONEY」 in 2018, there were times when production did not go well. We couldn't really write anything like our newest "special move," or, rather, a "strong song." MAMI: That's right. It doesn't mean that we were in a slump since we could write songs themselves, but they all tended to feel like they were "part 2"'s of our past songs. We weren't satisfied with that. 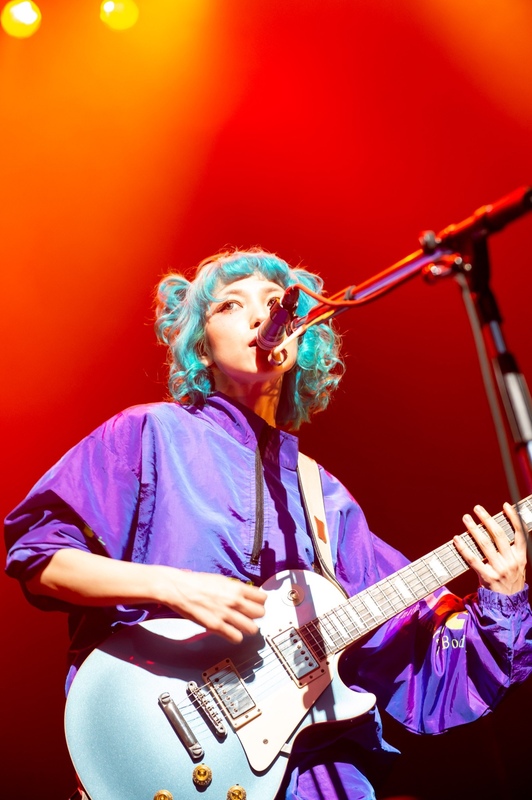 RINA: Those songs somehow took shape because we've been a band for 10 years, but none of them broke through. 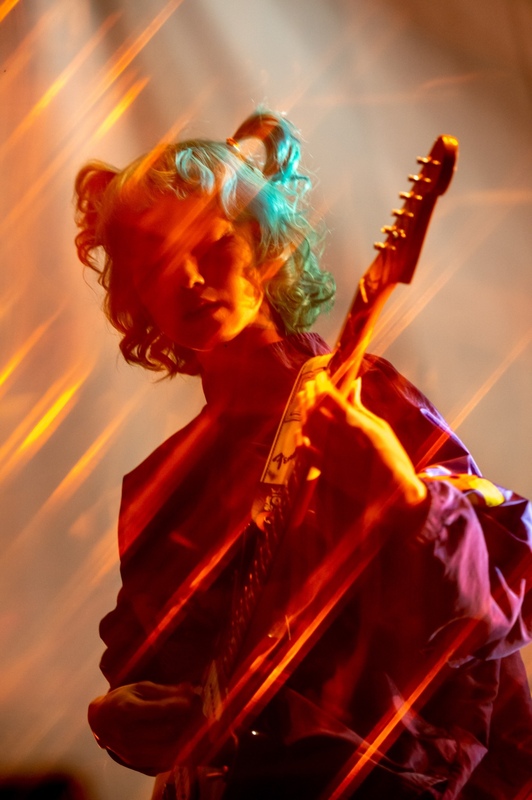 It's because we could only make hazy songs that were like, "It seems like we could keep going, though" that it felt like we needed to completely change how make music. Thinking about it now, we may have hit a wall at a good timing for the band. 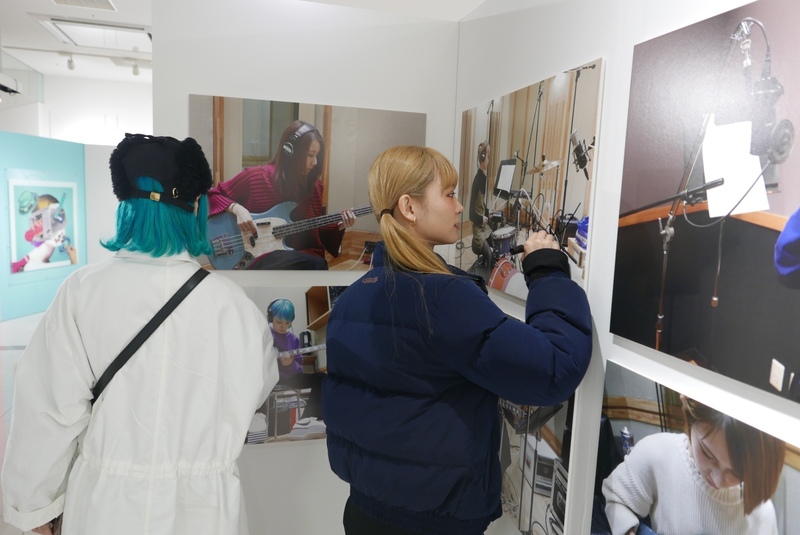 ──On the other side of that, you were also confident that, "If we're together, we should be able to produce even better songs. We should be able to aim even higher." MAMI: That's right. Even if they were songs we weren't satisfied with, they could certainly exceed our past songs. But, we constantly felt like we should be able to be even better. 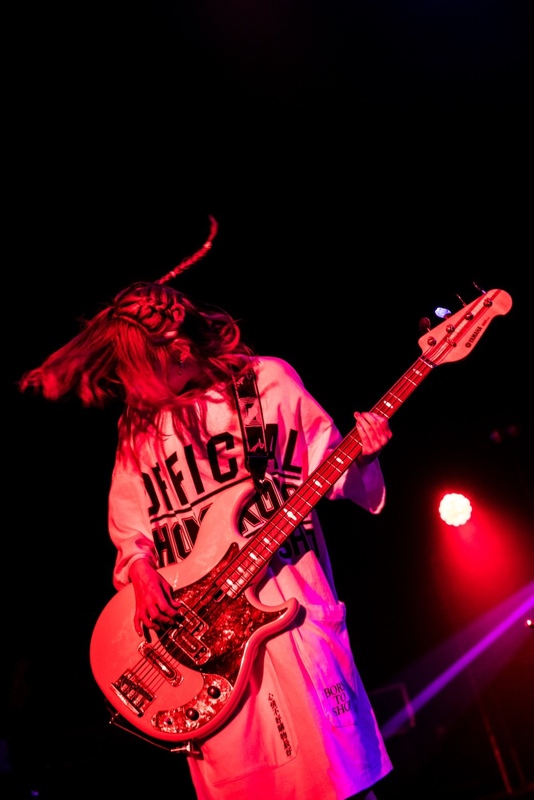 HARUNA: Yeah. I think that's probably the confidence we've accumulated over the past 10 years. 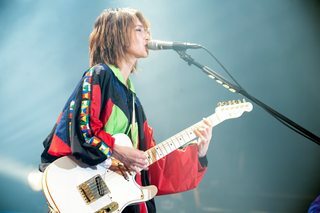 ──Was your new song 「Masterpiece」 born after the production of your album 「HONEY」? MAMI: Yes. The melody itself was made about a year ago, but at that time it had a completely different arrangement from its current state. I didn't really like that arrangement, so I put away for the time being. I'm the type who, if I don't get it right the first time, basically won't want to do it anymore. Even though everyone was saying, "That song you made earlier was good, so why not try one more time? ", I was stubbornly like, "No, I don't feel like it now" (laughs). RINA: Because of that, we're a band who has zero songs stocked up (laughs). MAMI: Even though I should be able to stock them up, I throw them all away (laughs). But everyone, including our staff, liked this song, so I started to feel, "All right, for a change I'll try it again." 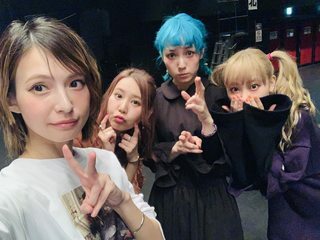 Since that was when we were also all discussing 「her」, I was like, "If the band is renewed, then I too will be renewed," and got rid of my weird stubborness (laughs). 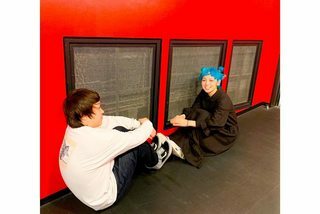 RINA: You became flexible (laughs). ──What kind of arrangement did it originally have? MAMI: It felt formal and used strings. Other than the main focus being on the band, it was something completely different. So, we talked about arranging it once more, but since I couldn't change it myself no matter what, I entrusted it to the arranger Keita Kawaguchi-san. Kawaguchi-san has watched over the past SCANDAL as well as the current SCANDAL, so I had faith in him and asked him to do it. 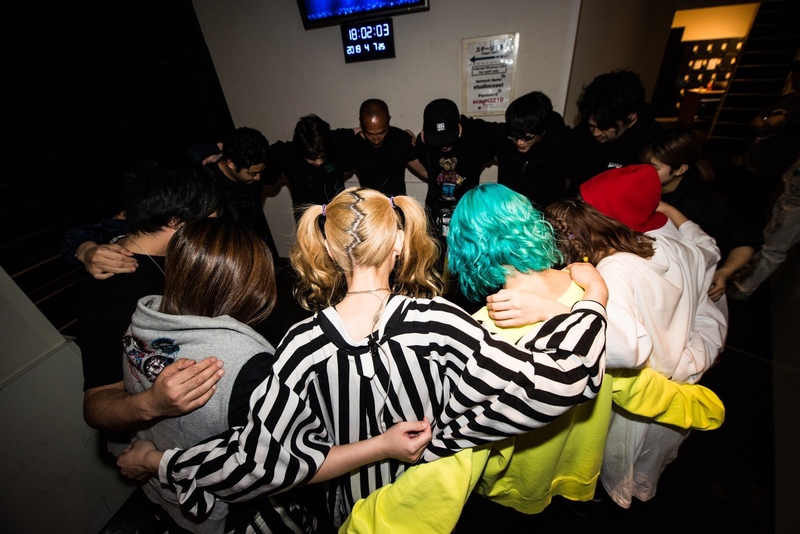 RINA: When we heard the completed arrangement, we were like, "That's so cool!" and all got excited. When we order an arrangement, we tell them what timbre and configuration in lots of detail, but he really went beyond that and made the greatest arrangement. 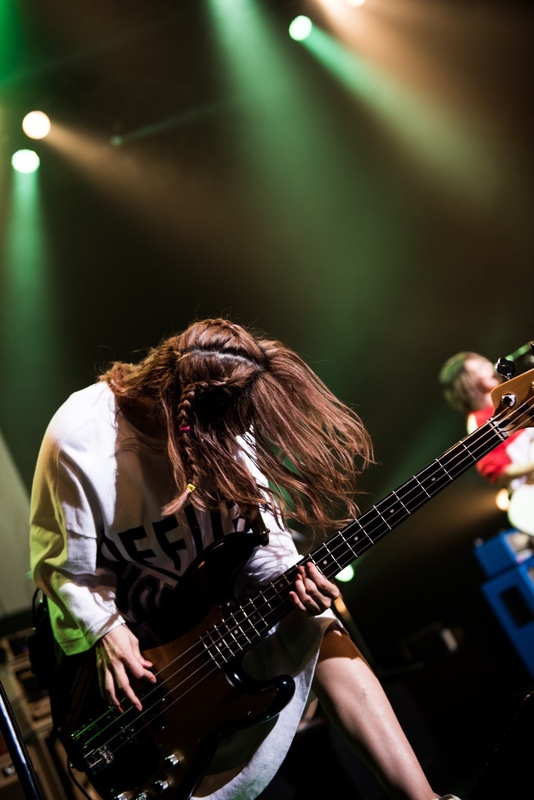 TOMOMI: Our impression of the song also completely changed, thanks to the arrangement. I think it's become a song that the current SCANDAL should be playing. 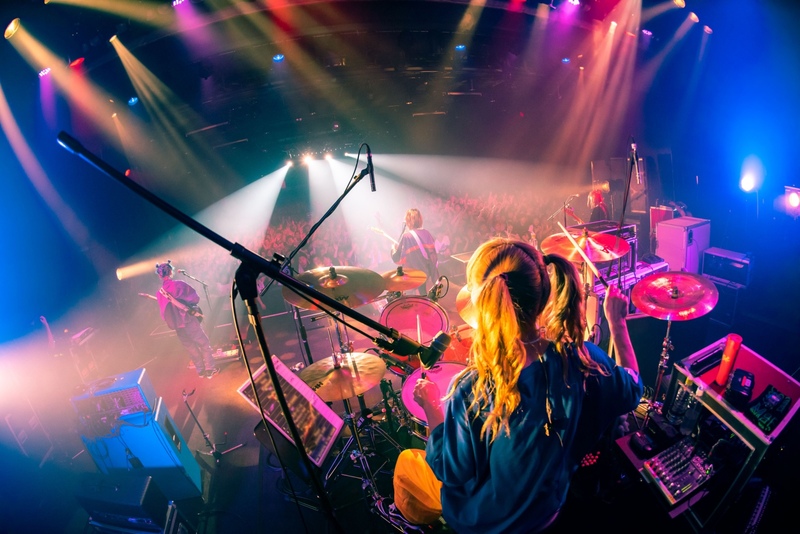 For the instrument recording, the groove was very easy to make since we had performed it several times on last year's 「Kanshasai」 tour. We made the sounds close to the atmosphere we have for our live shows. We're also doing a lot of experimenting, like making it so distorted that you don't know where the outlines are. 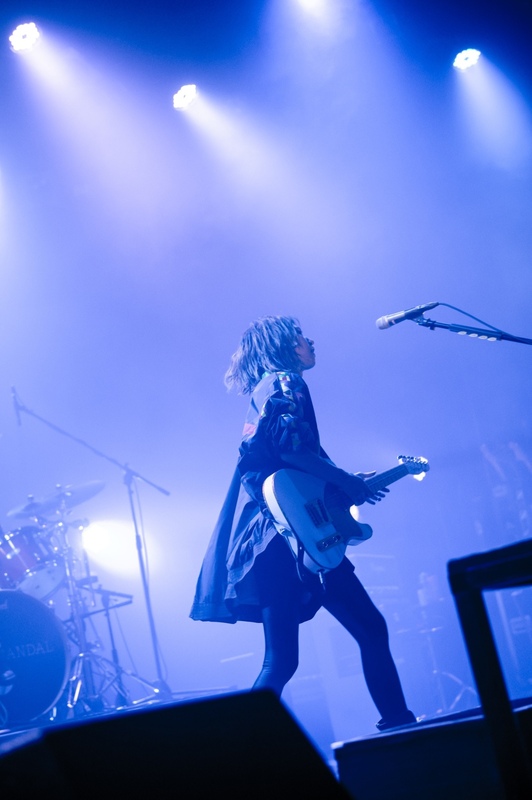 ──The lyrics for 「Masterpiece」 were written by RINA, and its content is fitting for the band's new start. RINA: Until now, I was trying not to write songs that pumped out too much of our story. That's because I wanted us to keep being a band that you could understand and enjoy no matter when you started listening to us. However, I thought it was unnatural to ignore the 10th anniversary of our major label debut and the establishment of our private label―basically, who we are now. So, I wrote the lyrics with the intention of making it the song that would start off SCANDAL's second chapter. It felt like we were able to remake a debuting song once more. ──The positive message that's almost refreshing feels like it perfectly fits the word "debut." But, it's also a word that you can put a spin on because you've stacked up a 10-year career. 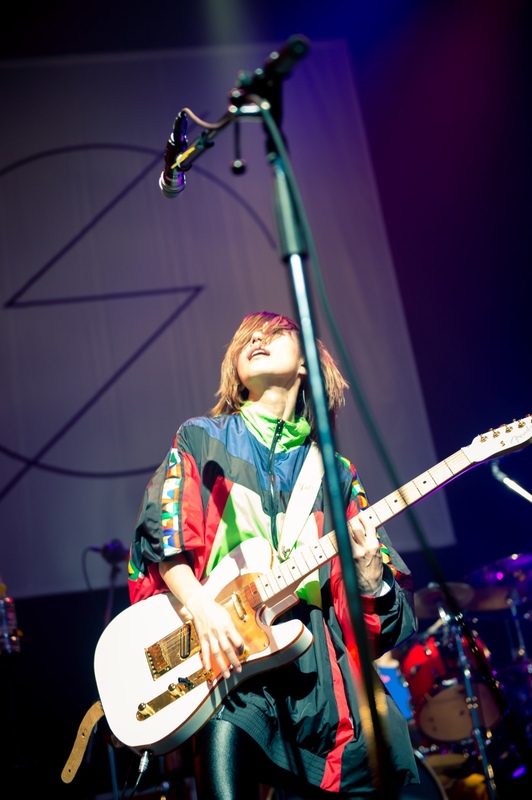 HARUNA: Yeah. After all, we definitely couldn't write a song called "Masterpiece" at the time of our actual debut (laughs). RINA: It's because it means "an excellent work." Now that it's a word we can use pleasantly, it turned into a punk song that's also rounded in a good way. I hope it'll create some spectacular scenes at upcoming shows. 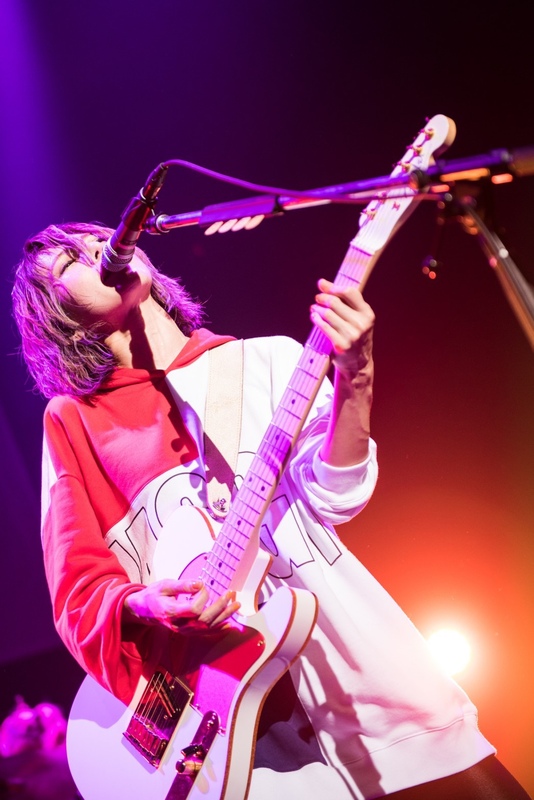 HARUNA: Singing this song makes it feel very fresh. 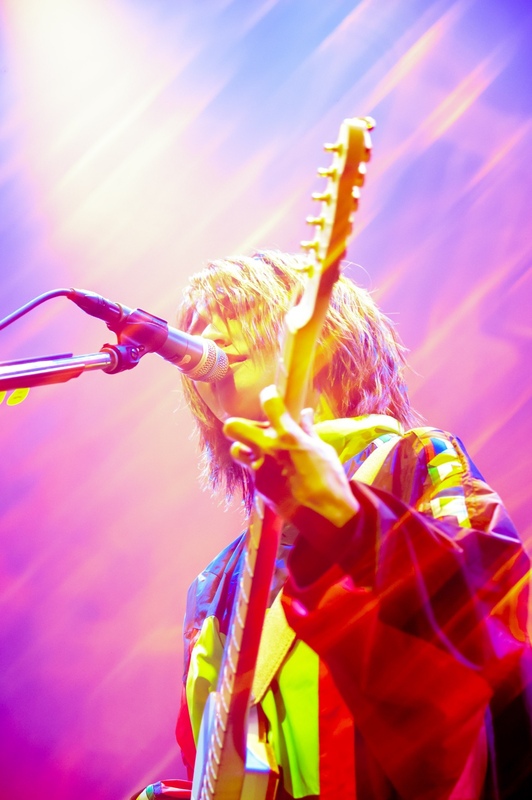 It's because it's a new song where we've kind of broken down what's been piled up―rather, we can see what we've cleared it away in a good way. However, we felt a unique feeling of tension when recording it. That's because it's also our first single in a while. 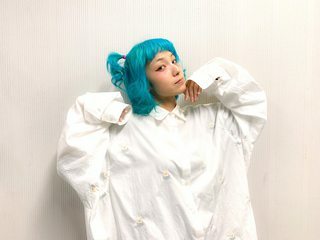 RINA: After all, it's been two years and eight months [since the last single]! 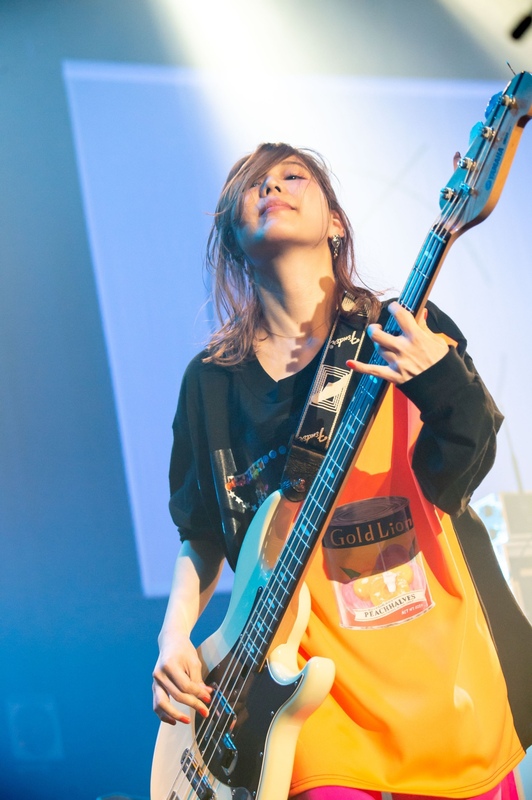 HARUNA: That's right! Also, it's our first single from 「her」. That's why I put all I had into singing it. I think it turned out to be a really good song because it took more time than usual to record. ──So, this single is a double A-side one. 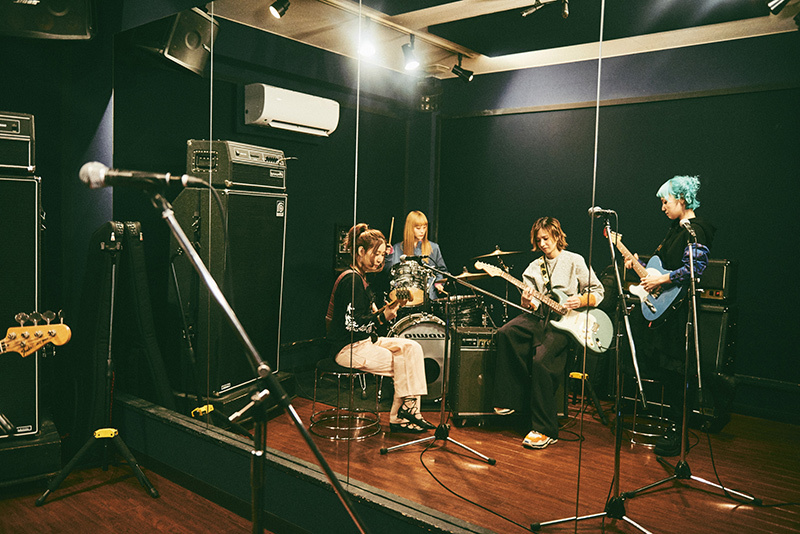 The other song 「Mabataki」 is a city pop number with a girly atmosphere to it. 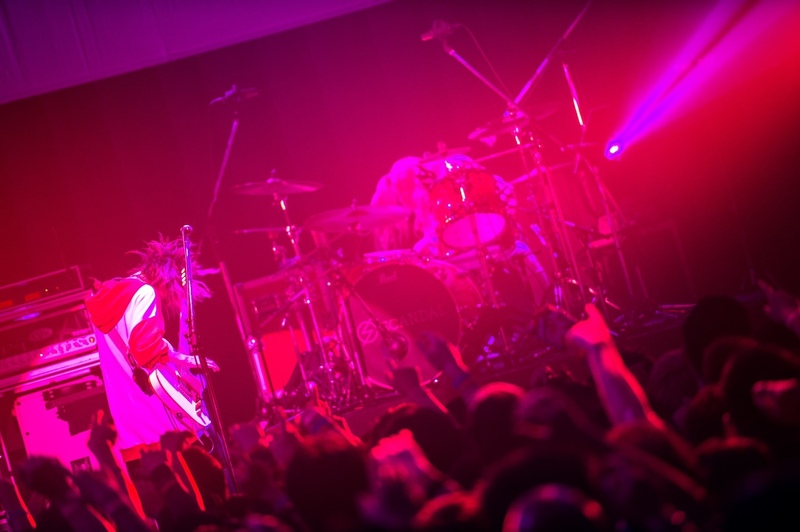 It feels like there's a great meaning by including this song with the abrasive rock tune 「Masterpiece」. RINA: That's right. We thought that it'd be possible for the four of us to also make a more personal, girly song by having something crowned with the word 「her」. Since we had an image of wanting to make a double A-side single with a cool song and a cute song, I tried writing a world that leaned towards being very cute. I'm really happy because it really feels like I was able to give shape to one of my favorite types of songs. 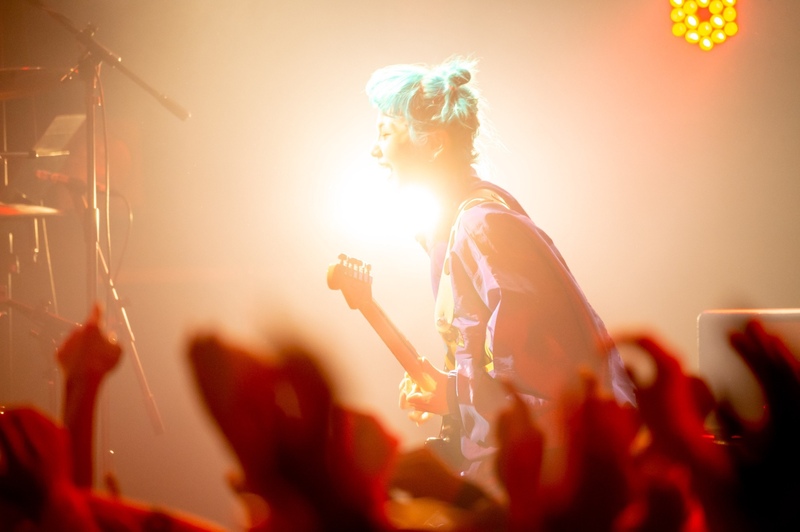 ──The lyrics and music for 「Mabataki」 were both written by RINA. 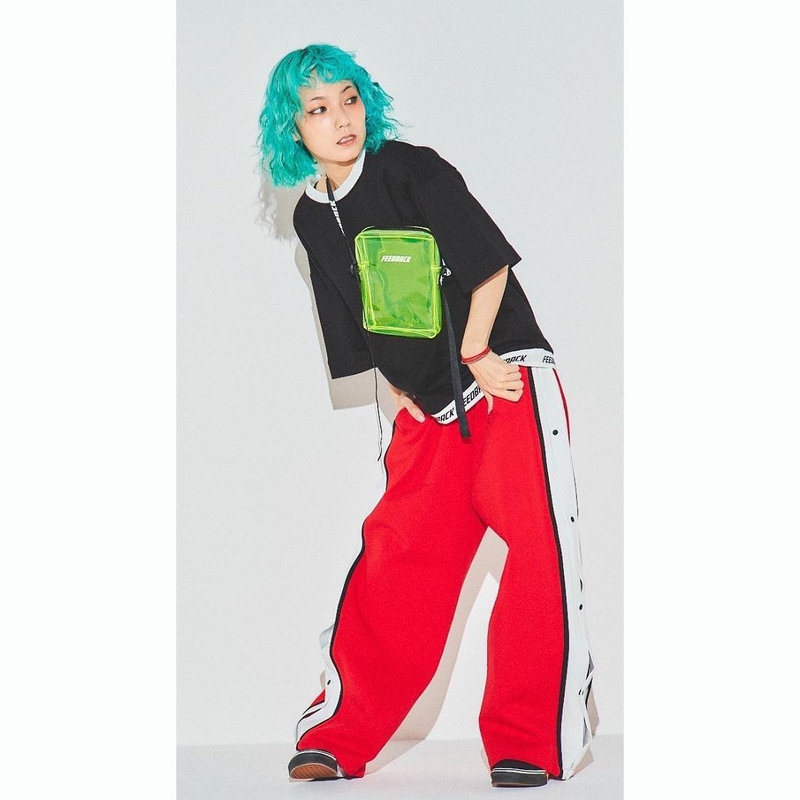 RINA: Yes. I thought having a song with content that was a little more vague than usual would be good, so I wrote the lyrics as if having the song end on the note of, "So, what happened to to this love?" The ending isn't clear by only vaguely thinking in their room at night of the person they love. I personally really like having rounded words to express that vagueness, so I think that my preferences came out quite a bit (laughs). 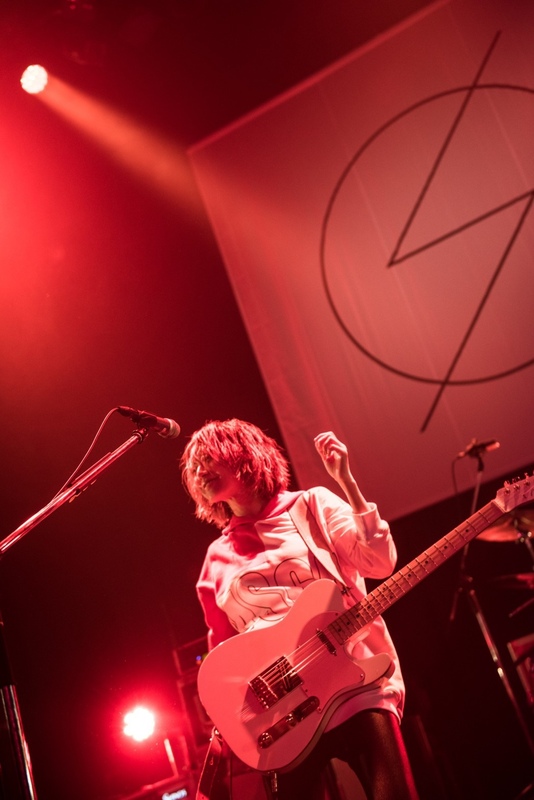 ──Being able to depict that kind of world is something unique to all-girl bands, isn't it? HARUNA: Yes, we think so. ──MAMI did the arrangement. It has a very nice sound that makes you feel the breadth of the band's musicality. MAMI: Thank you very much. That makes me happy! As I had a rather clear image of what RINA-chan had in mind, I made it while we exchanged fine details. 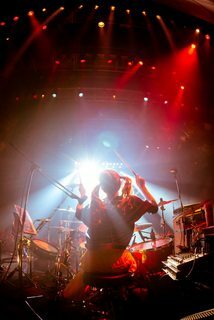 We usually use driving drums that are relatively close to a raw sound, but this time we chose to go with techo and dance music-like sounds. We overlapped two or three different sounds of the kick drum and were conscious of making sounds that didn't exist. 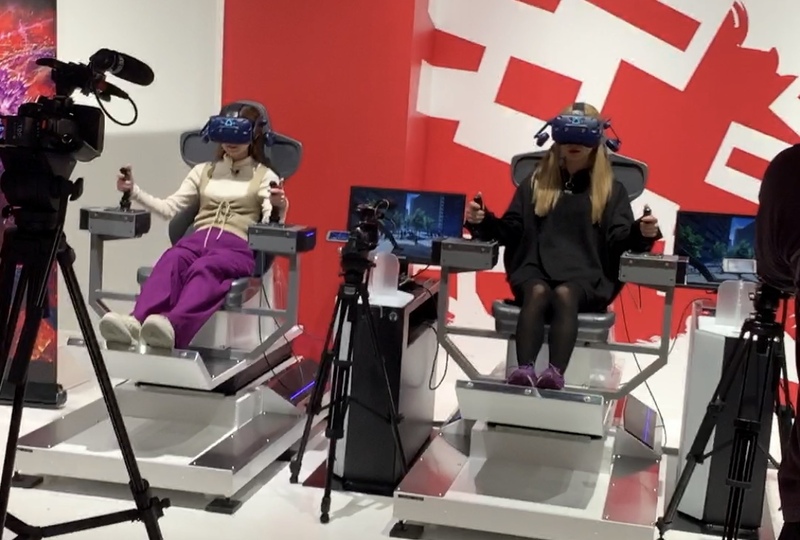 I think I was able to try various things while inserting sounds that felt comfortable. ──The way you constructed it is completely different from 「Masterpiece」. MAMI: It is completely different! The way we recorded the music was completely different too. 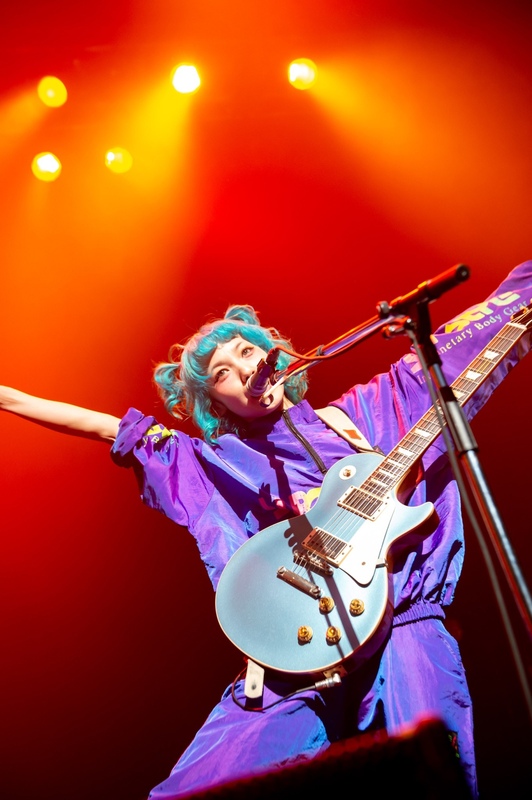 RINA: It's really fun to be able to do a completely different approach as one band. 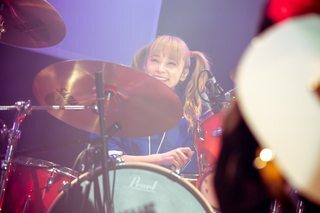 This song features TOMOMI on lead vocals. 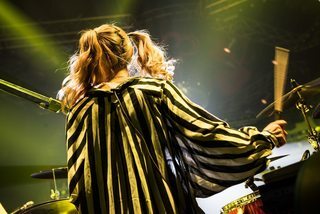 ──It feels like it's been a while since TOMOMI has sung. 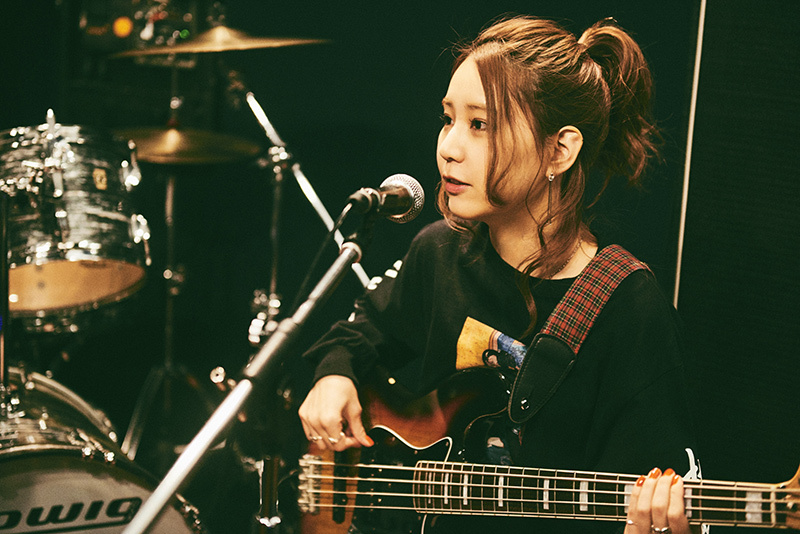 TOMOMI: Since it had been a while, I was able to sing with a very fresh feeling. 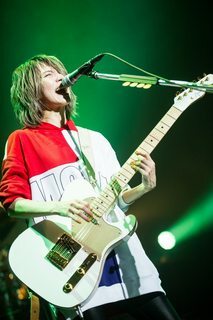 Like in the past, after HARUNA and I each sang the entire song, I also enjoyed the task of dividing the parts up like a puzzle. Since this is a soft song, I first sang at about 30% of my usual power. But when I was told, "Maybe make it a little gentler," I ended up singing at 10% power (laughs). RINA: (laughs). It was really fun because we went in a different direction than usual, like, "Not energetically; conservatively!" 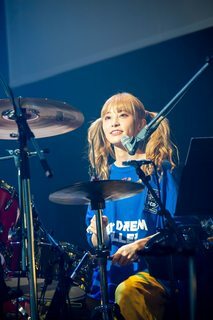 ──HARUNA, did you also sing at 10%? HARUNA: I did (laughs). I'm really glad that we recorded vocals for 「Masterpiece」 on a different day. It definitely would have been impossible if it had been on the same day. 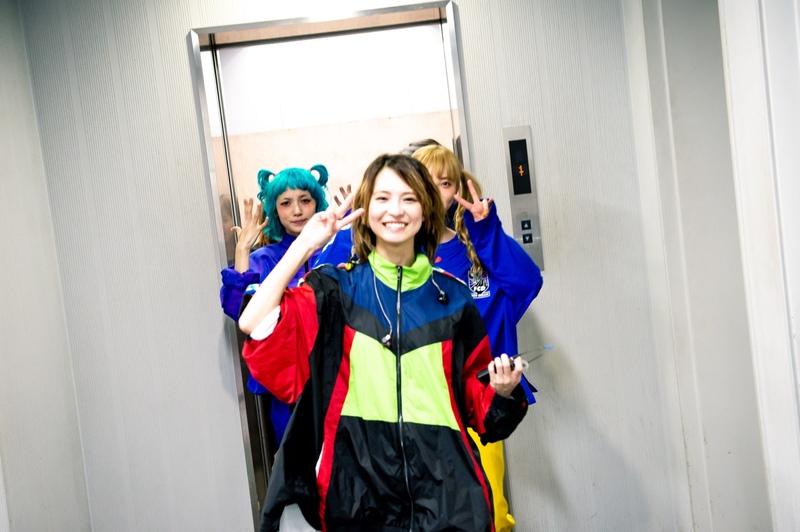 MAMI: We recorded the vocals for 「Mabataki」 after first recording the music. Besides, we got a little sleepy since we had eaten. I think that influenced the song in a good way (laughs). 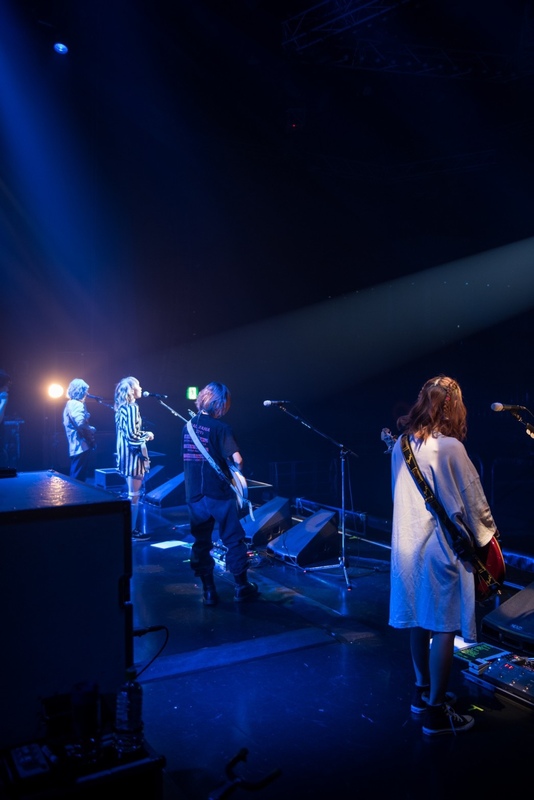 TOMOMI: We sang it around 10 pm. We were singing while feeling airy (laughs). ──It's a song that depicts one girl's personal feelings, but it's also fun to sing it with two people. 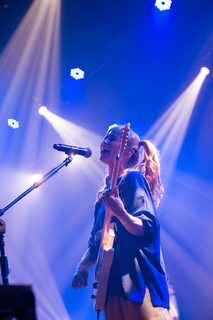 RINA: Yeah. Therefore, a dreamy-like atmosphere comes out in it a bit. 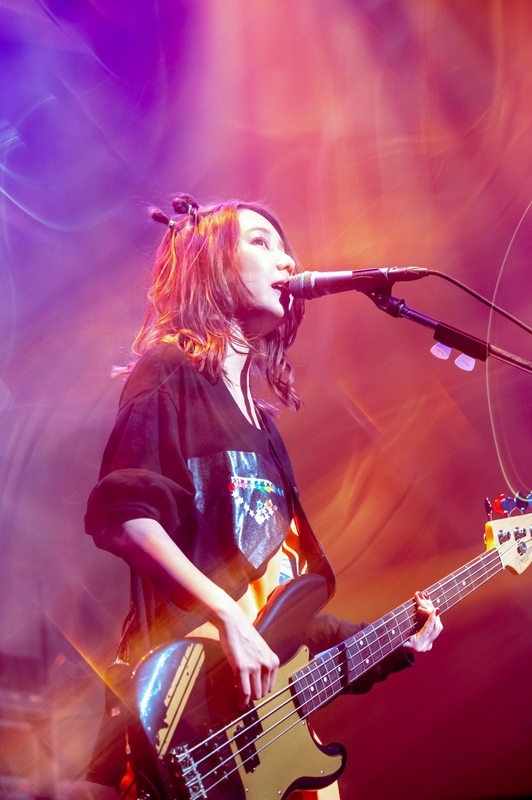 HARUNA: It's fun being in SCANDAL since two songs at opposite extremes were born. Girls' appearances change depending on the day, right? Like, "I'll wear these clothes today," or "I'll do this kind of makeup today." Being able to enjoy that feeling as a band is one of the best parts of SCANDAL―I thought again through this production. 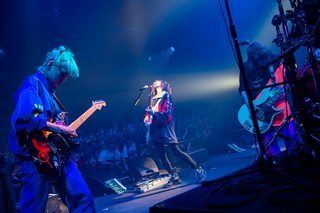 Two songs that express the multifacetedness of girls turned out to be the perfect first work, and one that we're proud of, released on 「her」. 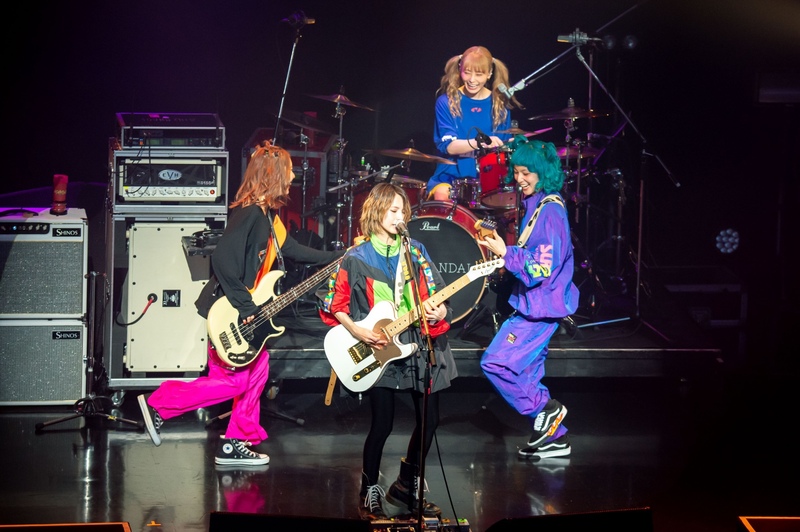 ──You have your 「SCANDAL MANIA TOUR 2019」 fan club tour that starts at the end of March, and then you'll start your 「SCANDAL TOUR 2019 "Fuzzy Summer Mood"」 nationwide tour that starts in June. MAMI: First, we'll have a pretty manical, interesting setlist for our fan club tour. So, we want the "MANIA" people to look forward to it. HARUNA: We're planning all sorts of things (laughs). 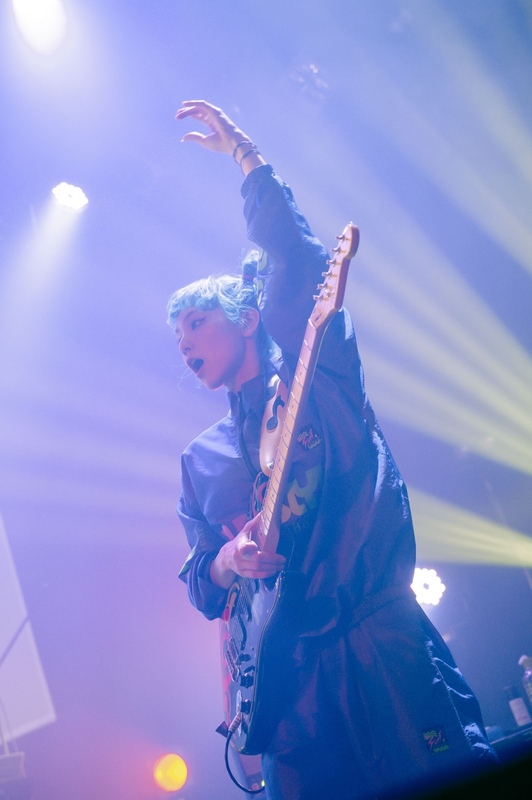 RINA: Then, in June is our first tour of the new era. I think it would be nice to have a feel-good tour while feeling summer set in gradually amidst ambiguous temperatures when the seasons change. ──That's exactly like the title (laughs). RINA: Yes (laughs). Our fan club tour also hasn't started yet, so we'll be working the content out from now, but we hope to deliver something solid as a band while having a structure that's more self-directed. We want to make sure to convey our current mood. 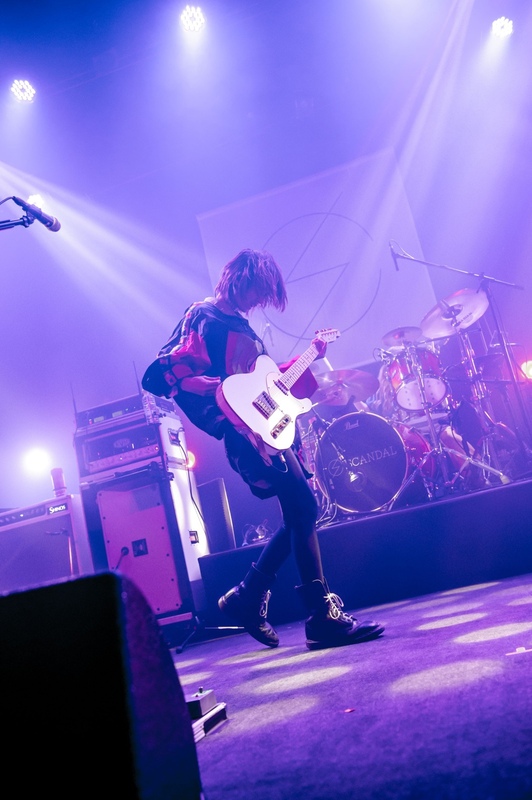 HARUNA: We're also going to the area of Obihiro for the first time. It'd be great to get more new comrades. 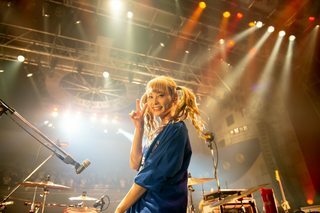 MAMI: I think it's also great that this is a live house tour. We're going back to the basics―rather, it really feels like we're starting again from here on out. 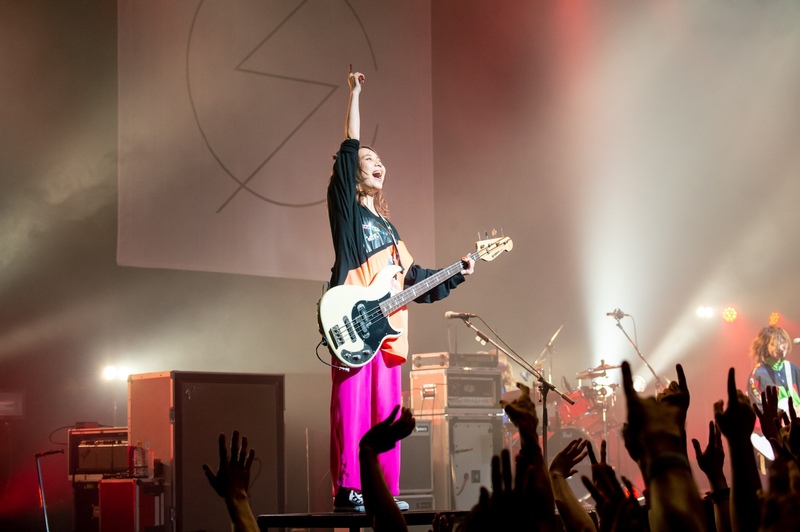 TOMOMI: Our environment has changed and we're feeling very excited right now. It feels very fresh, so we hope to keep holding on to that the entire tour. It's been like that since we first formed, but since we've headed towards something that makes us excited and seems like fun, we want to always keep chasing after new things. Thanks so much for checking out our translations! Please consider donating if you'd like to continue supporting us and our work! 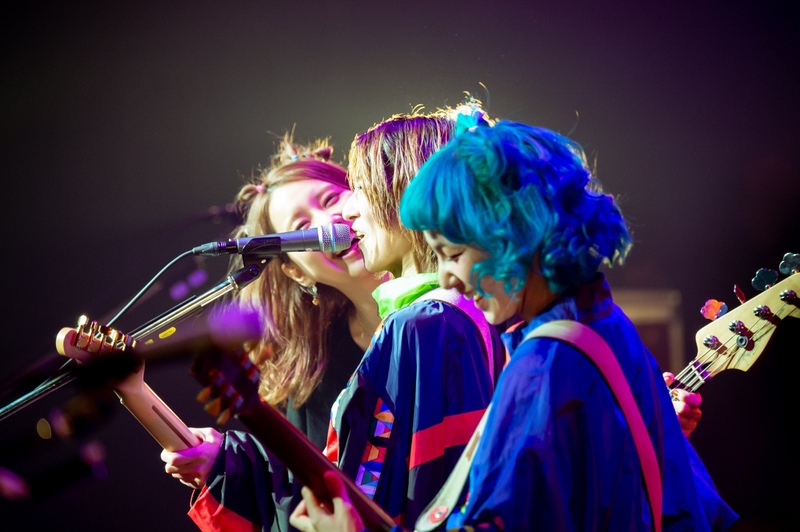 SCANDAL will be performing as a key headliner at the music festival 『HUSH!! Full Music 2019』 to be held at Macau's Hac Sa Beach. 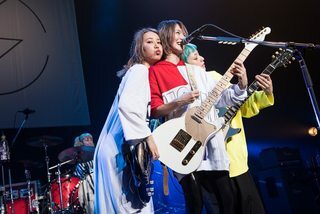 SCANDAL has been active overseas since 2015 when they held 『SCANDAL WORLD TOUR 2015「HELLO WORLD」』, their first solo world tour that drew out a combined total of 80,000 people and went around to 10 cities in eight countries including France, the United Kingdom, Singapore, Hong Kong, and the US. 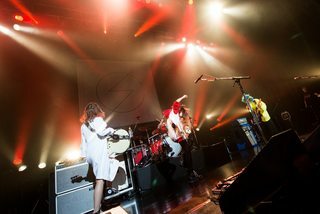 In 2016 they held 『SCANDAL TOUR 2016 "YELLOW" IN EUROPE』, their first solo European tour that consisted of 10 performances. Last year they held tours in Asia and North America that consisted of six performances apiece. 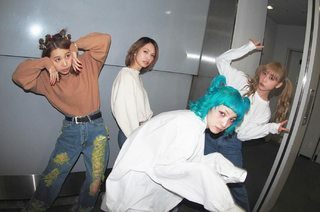 Releasing their first single 「Masterpiece / Mabataki」 on their private label "her" on 3/27, they posted both songs' music videos on YouTube and garned many comments from fans all over the world, once again proving their popularity abroad. 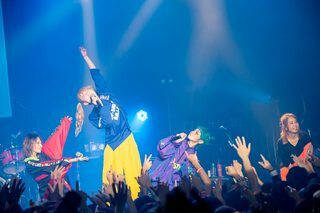 Their headlining appearance at 『HUSH!! 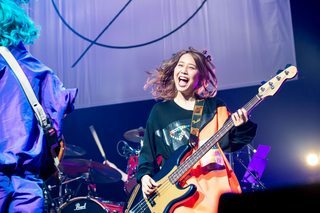 Full Music 2019』 is no doubt linked to their success overseas. 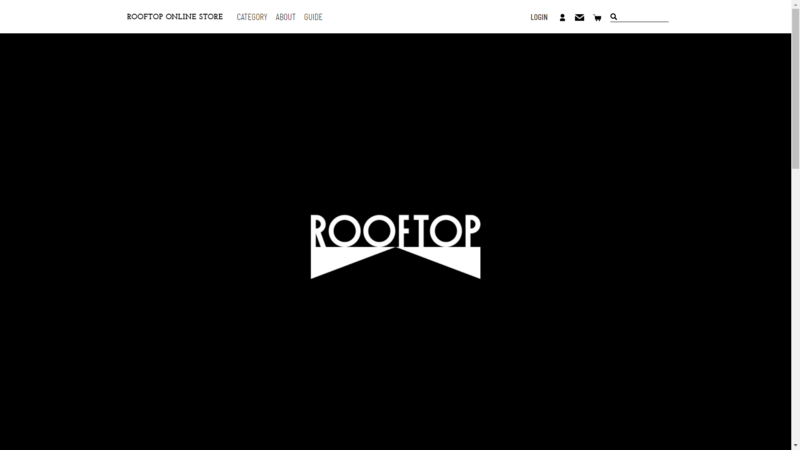 SCANDAL's official webshop has been moved to the "ROOFTOP ONLINE STORE"! 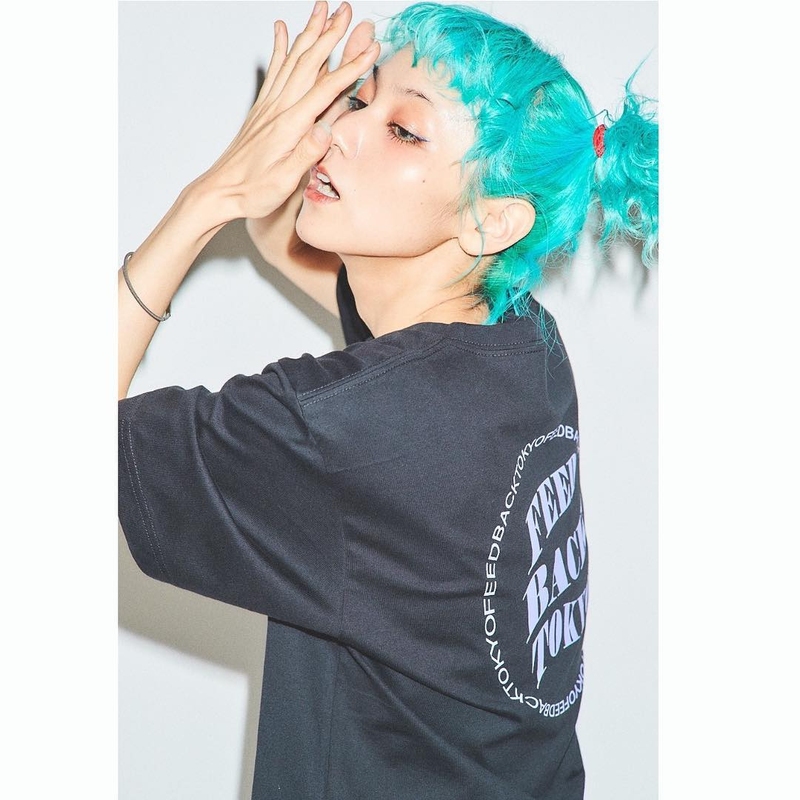 Note: Even if you had an account on the previous webstore (Kitty Enter Shop), you'll need to make a new account on this new site. 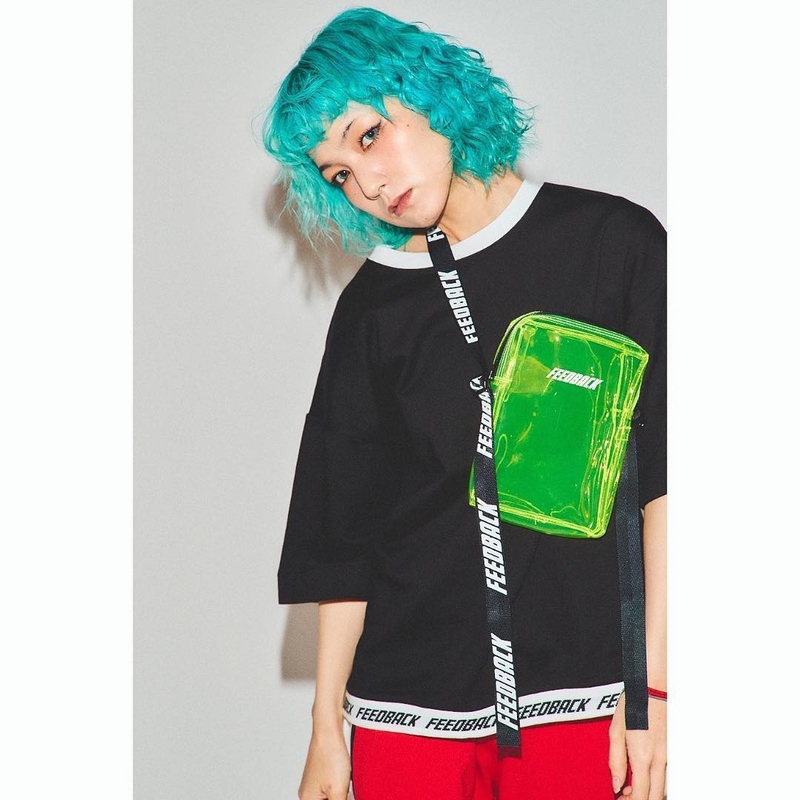 And like before, this webstore does NOT ship overseas, but hopefully they accept foreign-issued credit cards like the previous webstore (ICYMI: How to order from their previous store if you're overseas). 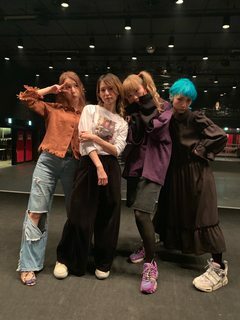 SCANDAL, who released their first single 「Masterpiece / Mabataki」 from their private label "her," held 「SCANDAL New Single 『Masterpiece / Mabataki』 Release Commemoration - Bakuon Shichou-kai (Explosive Listening Party) at Kawasaki CLUB CITTA'」 on 3/27. 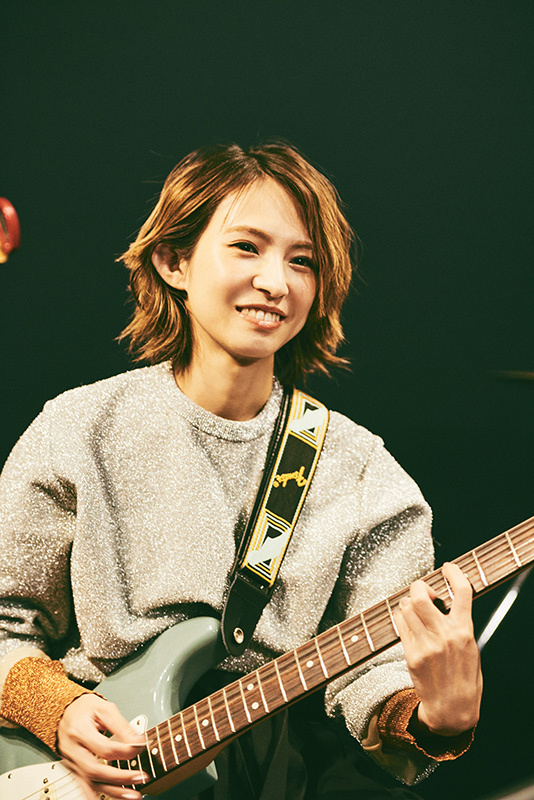 MAMI: Just like our standing positions when we play a live show, the guitar sounds are divided between the left and right sides so that you can hear each of phrases played by HARUNA's guitar and MAMI's guitar. 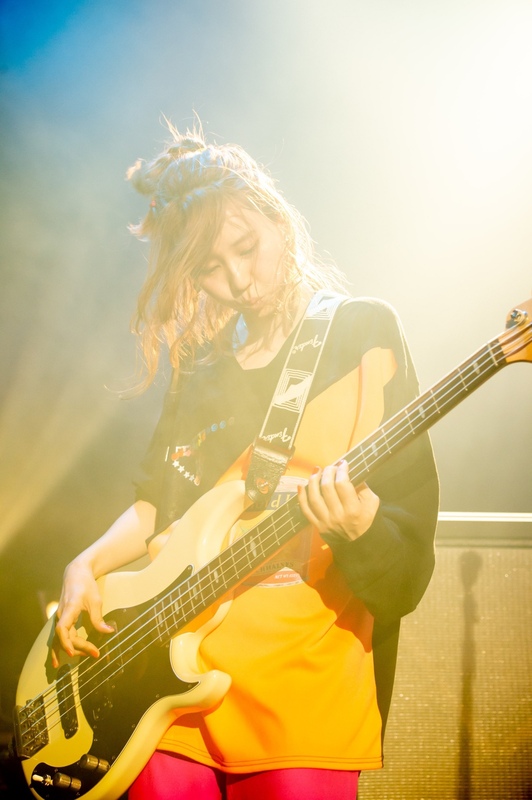 TOMOMI: We make sounds so that the bassline can easily be seen on typical recordings, but this time it was distorted to the limit to do the same thing live. Please feel the vibration of the bass with these big speakers today. Talks about manical "sounds" unique to this explosive listening party unfolded. 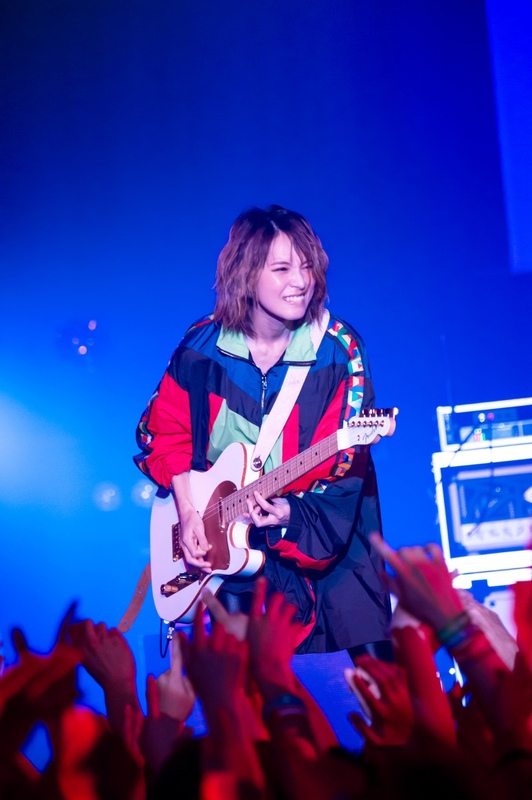 Additionally, as a special surprise, they streamed the first demo of 「Masterpiece」 made by MAMI, exciting the fans throughout the venue who were able to hear this rare audio that is completely different from the CD version. At the end of the event, RINA said this: "The four of us got the courage to start our label, decided to try creating various things from scratch for the first time, and began our new musical lives together with this year's spring. 「Masterpiece」 means "an excellent work," but it's not simply about this work only; I want to call fun things, sad things, and stories I've walked through so far, "masterpieces." There are all sorts of things that happen in your every day lives, but there are no useless moments. Those are the thoughts we put into this song. We're always thinking of how thankful we are that you've chosen our music among the many bands out there. 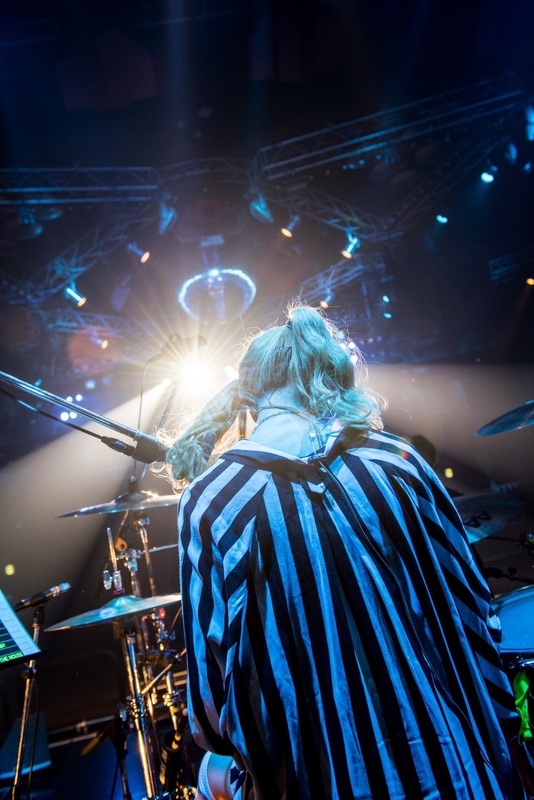 We'll keep making music that gets close to you and makes your daily lives brighter and enjoyable." 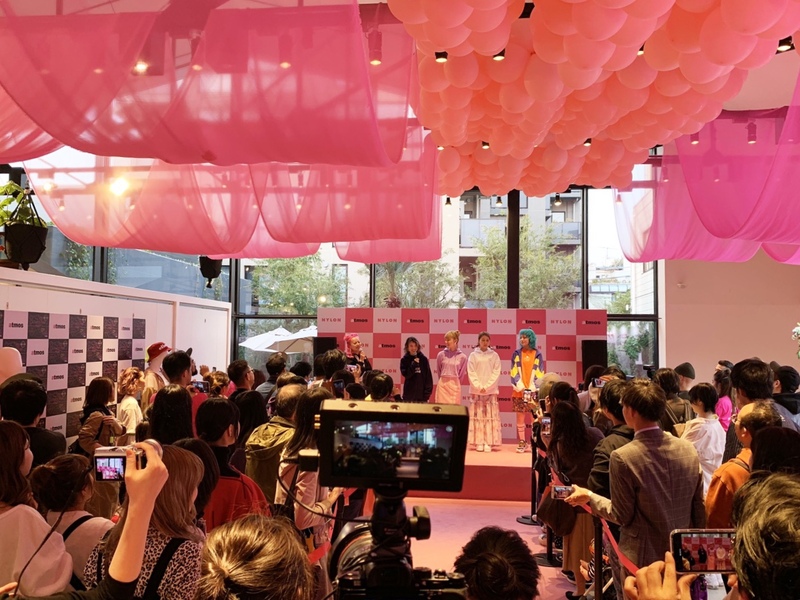 They also conveyed a message to the fans about the joy of being able to release something from their new label, ending the successful event as the venue was filled with warm applause. 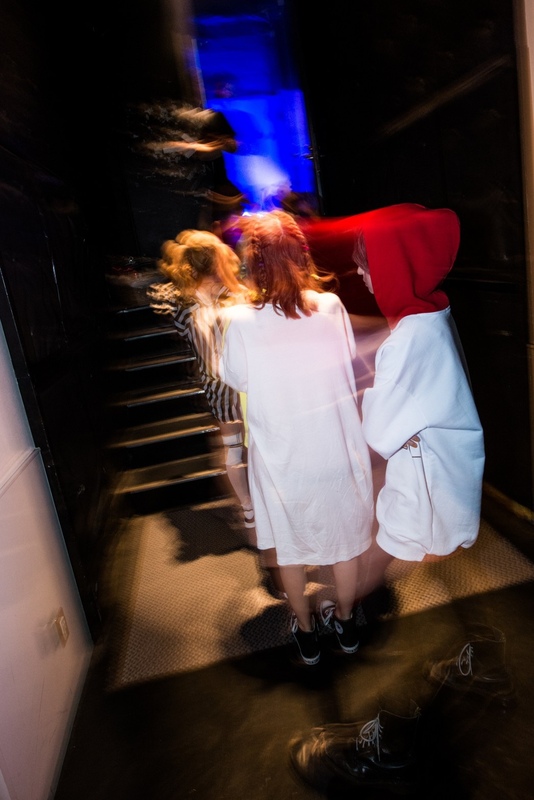 The short film-like music video for 「Mabataki」 that's like peeking into SCANDAL's room has been released as well. 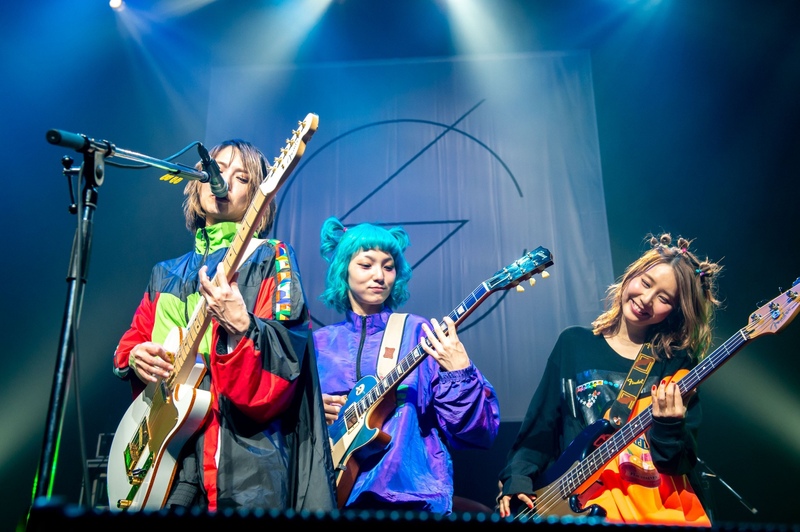 They will also be holding 「SCANDAL New Single 『Masterpiece / Mabataki』 Release Commemoration　Hohoemi Zadan-kai (Smiling Round-Table Discussion)」 at Abeno Q's Mall in Osaka on 4/1. To practice, produce, have sessions, and talk. To look back on who we are now. It's only been ten years, but they've been ten steady years. So it feels like it's an important footprint for us. That could be delivered to everyone right now. Is each its own masterpiece"
We want to continue to saying this with our music. Our double A-side single 『Masterpiece / Mabataki』 is out today! It's only been ten years, but they've been ten steady years. We feel that this is really a result that only could have been obtained by continuing this, so it feels like it's an important footprint for us. That's why we made a song where we wanted to write lyrics that properly summarized our story, and searched for and gathered up lots of words that could be delivered to everyone right now. "Put all of the regretful, lonely experiences; happy, tearful events; joy and sadness together. All of the days so far have been necessary, and each day that you have passed through is each its own masterpiece." We want to continue to saying this with our music. The last of these monthly streams! -The first thing the band talks about is the pillar promo at Shibuya Station. The band didn't know about the promo, which was a surprise from their staff, at all and found out when their staff suddenly sent them pictures of the pillars. It'll be up until 3/31. -They then play this video that talks about what'll be in the magazine of LE A, and then go over the store bonuses and show what the clear files + prism calendar look like. -Next, a short clip of the "Mabataki" MV is played. They talk about how both that and the "Masterpiece" MV are two completely different videos. 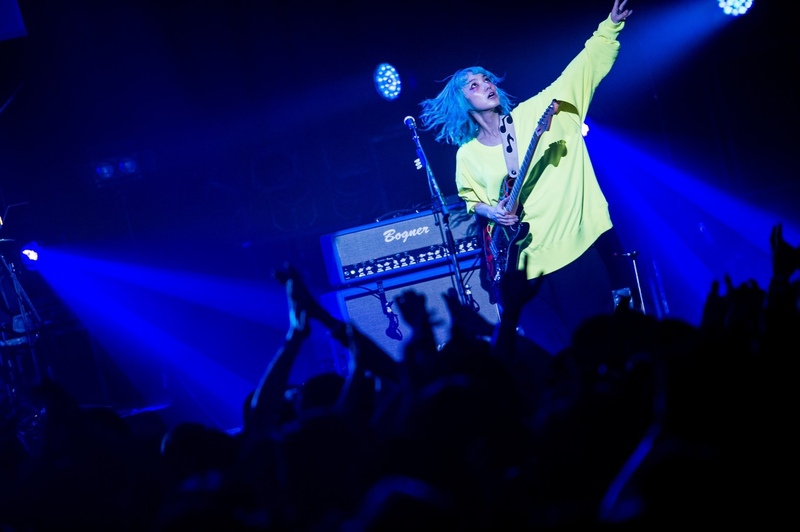 RINA says that "Masterpiece" features an intense performance only, and how they don't have any instruments at all in "Mabataki." They also talk about how it features dual vocals between TOMO and HARU. -"Nipper" (the dog statue lol) asks them how they decided to do the scenes in the video. 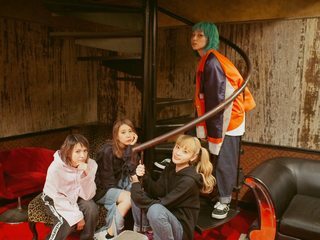 -RINA: "The song itself is girly and has a soft atmosphere to it, so we wanted to have scenes that represented that. We wore pale vintage clothes and went with a "girls lazing around in their room" feel. We shot all kinds of scenes." -HARU: "You were in a bathtub." -RINA: "Yeah, I'm soaking in a bubble bath. It was actually really difficult to do. I was in a jacuzzi-like tub and couldn't sink down. They would tell me to stay submerged for several seconds until they said okay, but I would float up." -MAMI: "There were too many bubbles." 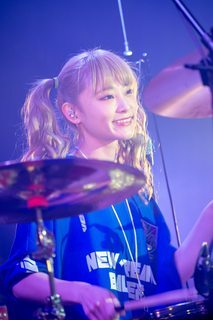 -RINA: "Yeah. That was the most difficult part. We did it over and over again." -HARU: "Like in our past videos too, you tend to be in water." -MAMI: "She jumped in the ocean." 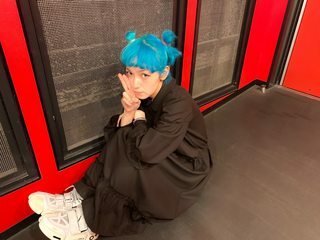 -HARU & RINA: "'Koisuru Universe' too." 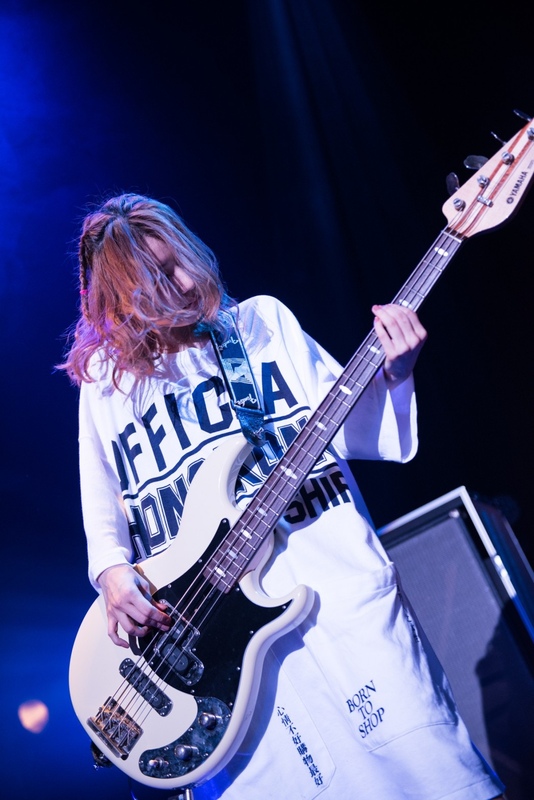 -RINA: "I had a scene where I was in the shower in my clothes." -HARU: "You're in charge of water." -Nipper: "HARUNA, what are you in charge of [in the "Mabataki" video]?" -HARU: "What was it? Drinking tea--tea time. In charge of tea time." -MAMI: "Making sweets. What was it again?" -TOMO: "Petting a rabbit and HARUNA on the bed." -HARU: "Wait, we didn't show that yet!" 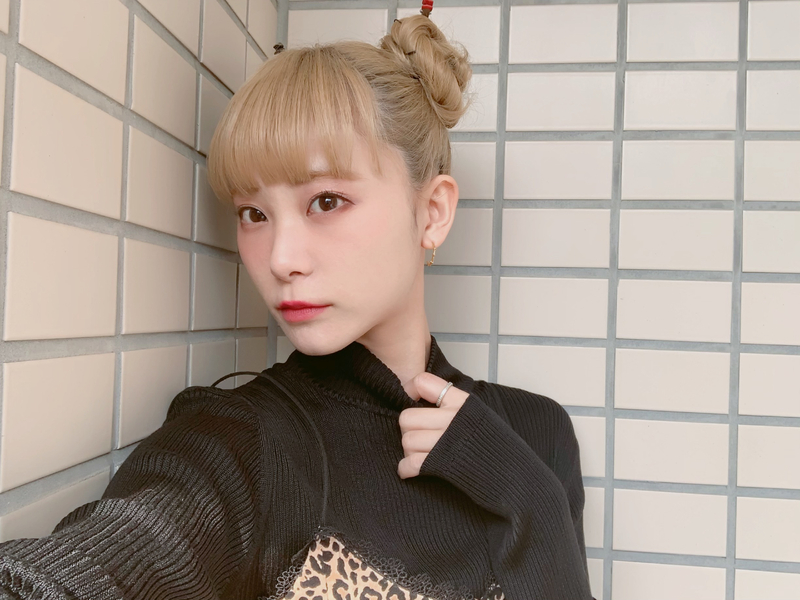 -RINA: "Look forward to it!" -Nipper then asks them how Victor Rock Matsuri was. 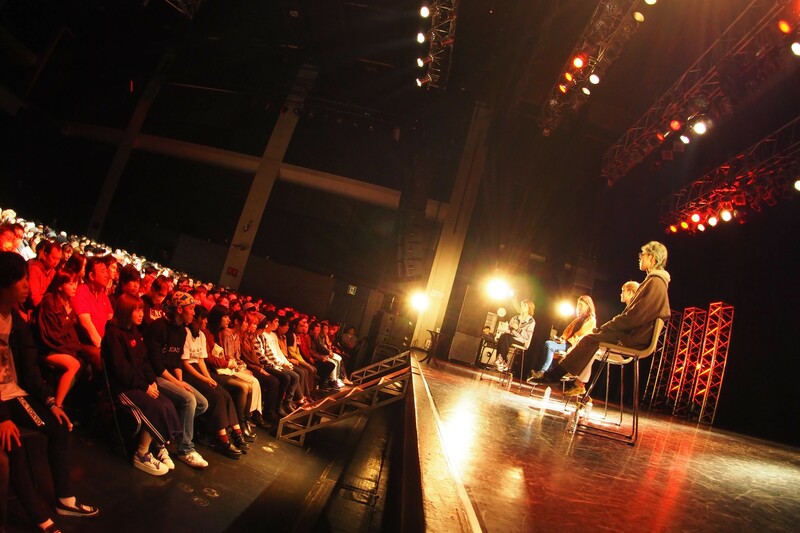 They say that they were nervous, and that it had been their first live show since Christmas time and their first live show of the year. 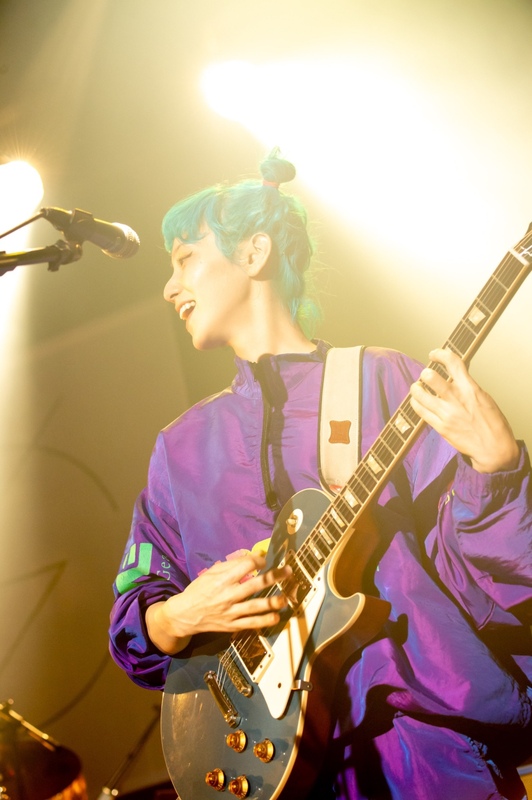 -MAMI: "We were like, 'So this is what a live show is!'" 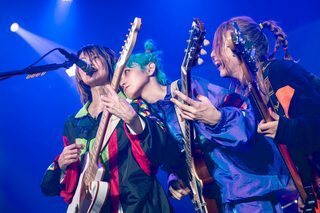 -HARU: "It was exciting to appear with other Victor artists, and I think we were able to show what our live shows are all about." -RINA: "It was simply fun. After our set, our staff was excited and told us how glad they were, and it made us happy that we're off to a new start with this same team." 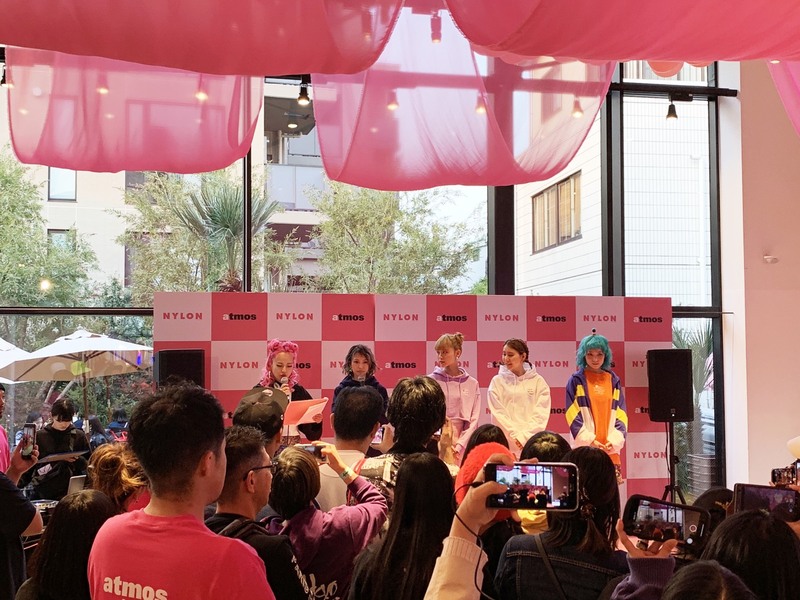 -Next, Nipper mentions that they have their "one-day manager" events at Tower Records the next day to commemorate the new single 「Masterpiece / Mabataki (Blink)」. Tower's motto is "NO MUSIC, NO LIFE," so they will be playing a game called "NO MABATAKI, NO LIFE" = a contest to see who can go the longest without blinking. The loser has to do a punishment. A staff members asks who blinks the most. 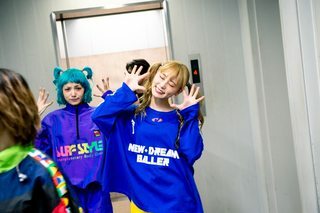 RINA and TOMO gesture to HARU. -HARU: "I blink a lot." 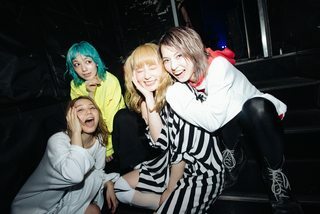 -RINA: "I feel like TOMO doesn't blink a lot." 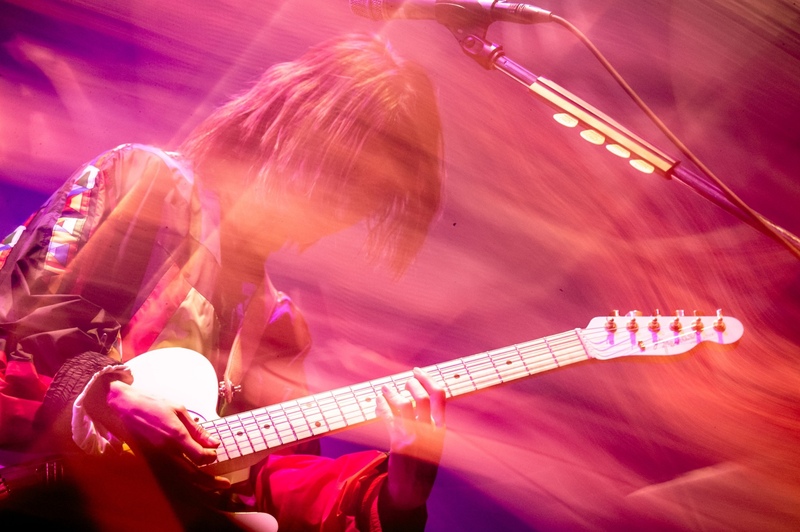 -TOMO: "But I'm blinking a lot right now." -HARU: "Are your eyes itchy?" -TOMO: "Yeah, some pollen got in them. They're so itchy if I don't produce tears." -Nipper says that they'll be going in order decided by janken (rock-paper-scissors). MAMI wins and goes first, and lasts 30 seconds. HARU goes second and lasts an incredibly long time and wonders if wearing contacts help. She lasts for about 1 minute, 46 seconds, all the while the members are yelling things behind her, like, "She's too strong!" -HARU: "I'm scared of myself too!" -TOMO goes next and says she'll try to at least match MAMI's time of 30 seconds. She seems to forget it's a staring contest and blinks around 3 seconds later. HARU tells her she can do it again, but she chooses not to. 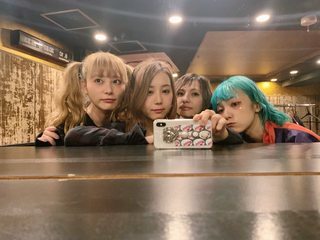 -TOMO: "It's not even like my eyes were dry yet!" 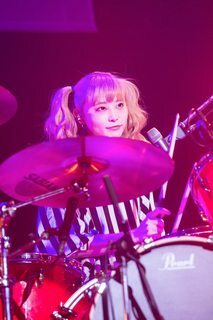 -RINA goes last and makes it to 45 seconds, which means TOMO is the loser. For her punishment, she has to say "her" in a very enthusiastic way. -They again say how HARU's too strong, and HARU says that she herself was surprised. M+T+R: "We wouldn't expect anything less." 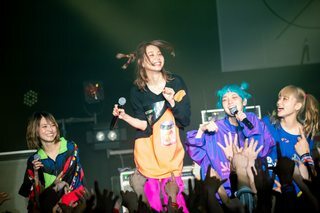 -Next, they talk their upcoming summer tour, and how it'll be their first tour of the new era of Japan, which happens in April. Since it's also their first tour after establishing "her," they hope that it'll have a new feeling to it. 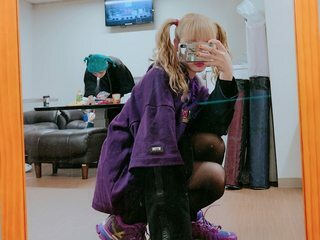 The merch for the tour was completed recently, which they say is really cute. -They then talk about 「SCANDAL her ～Kanojo-tachi no Atelier Ten～」 and how they had a space created that drops you into the world of the songs on the single. You can also take pictures there. -They mention how they recently released the "Masterpiece" MV and wondered what people thought of it. "Really cool! ", "I really like it! 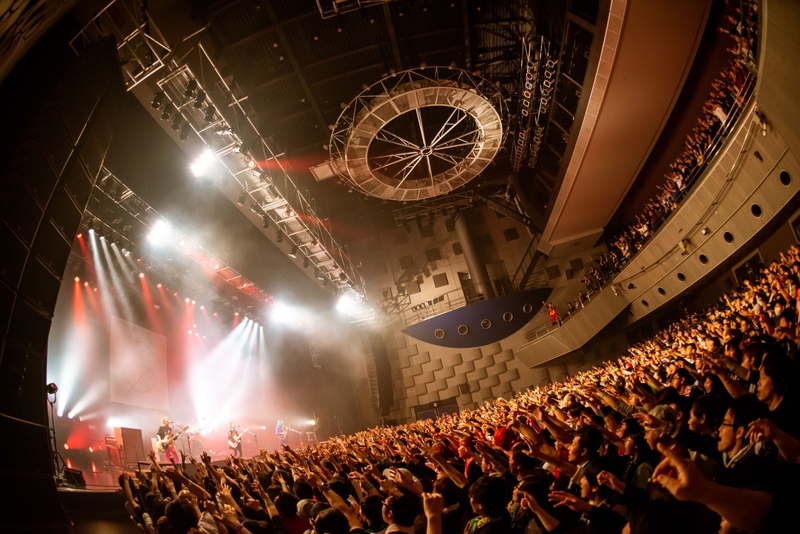 ", "It reminded me of the Kanshasai tour! ", "It made me want to go to a live show of yours! ", "Your outfits were cool! ", etc. One person asks how they shot that effect in the beginning of the video. They put a speaker under a mirror, made the mirror vibrate, and shot it from the mirror. -At the end, they go over all of the upcoming events related to the single and each say a bit about the LINE LIVEs. 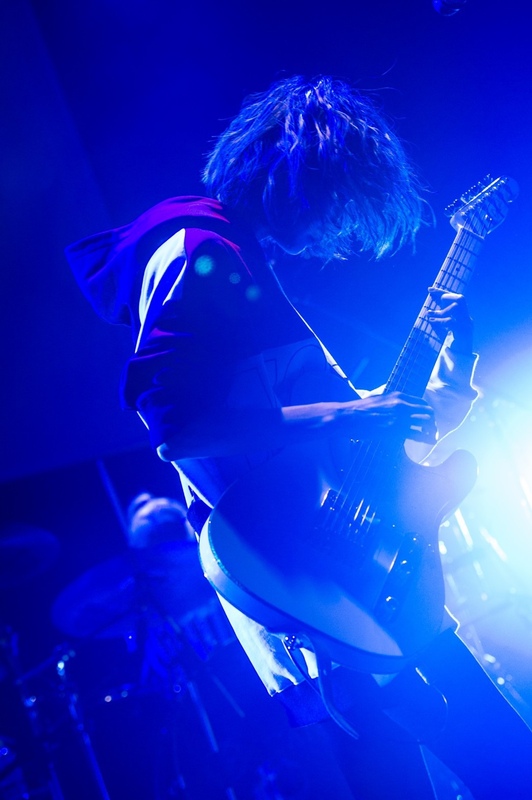 -TOMO: "It was fun! See you at a live show. Come out to our one-day manager events tomorrow!" -MAMI: "Thanks for participating. I wish this could be a regular, monthly thing! Thanks! I hope we get a chance like this again soon. Thanks for the many comments! See you again from tomorrow! Bye bye!" 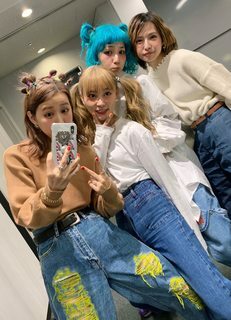 -RINA: "These past three months were fun! It's our first single release in a while, and I'm so glad we were able to make something great. We really worked hard to make this, so I'd you to listen to it while enjoying the lyric card and store bonuses. It's also out digitally. We wanted to send it to everyone and have you listen to it in the way you like. I hope you enjoy it in your favorite way of listening to music. Farewell, then!" -HARU: "Thanks for these past three months! The most important thing is that our new single is out on 3/27, so please pick up the CD. We'll also be holding our one-day manager events, so we'd be happy if you came out and saw us. Again, thanks for these past three months!" Utaeru yo ima kono "masutaapiisu"